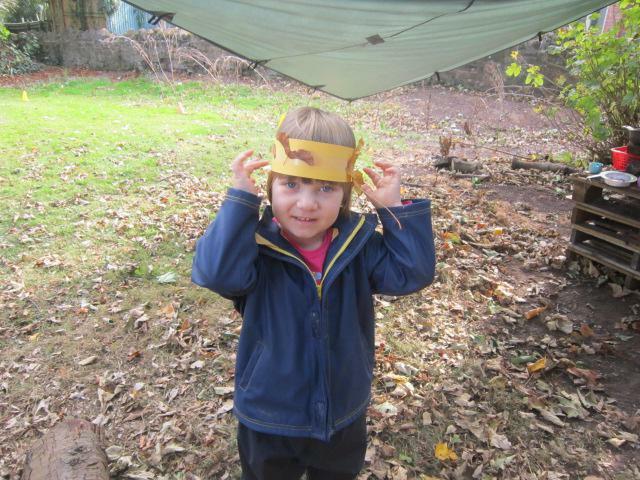 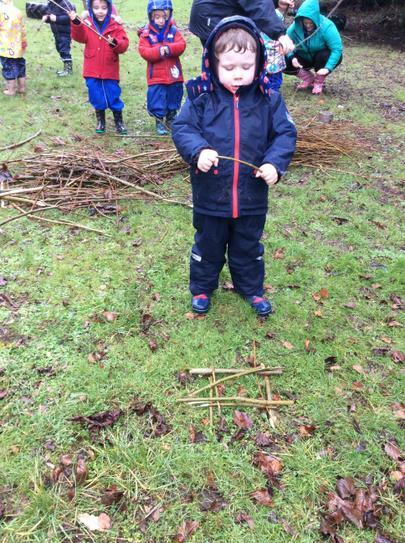 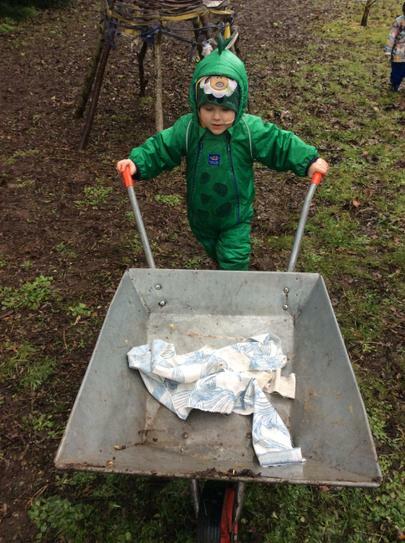 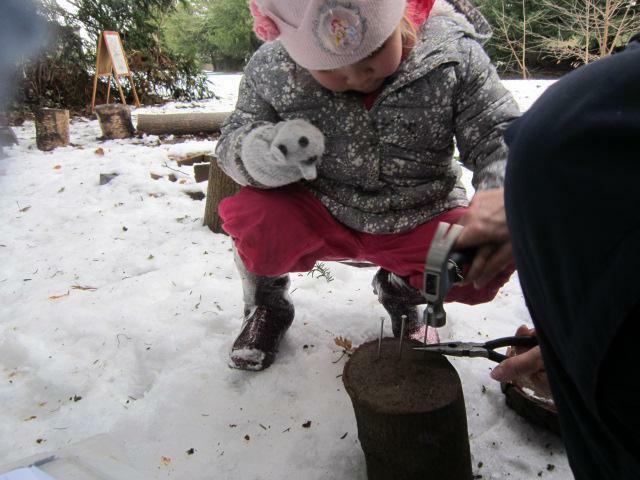 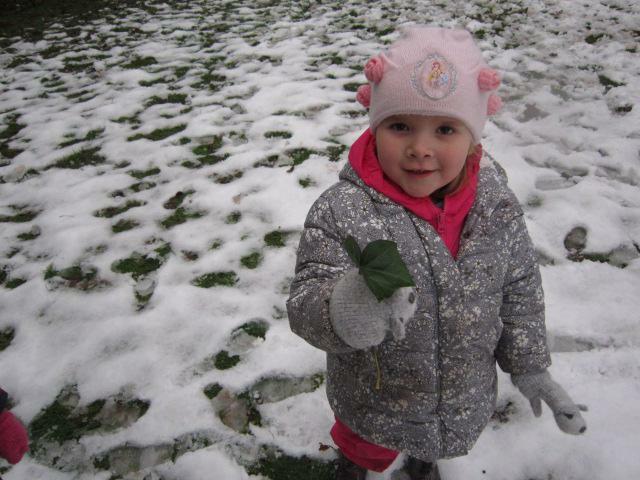 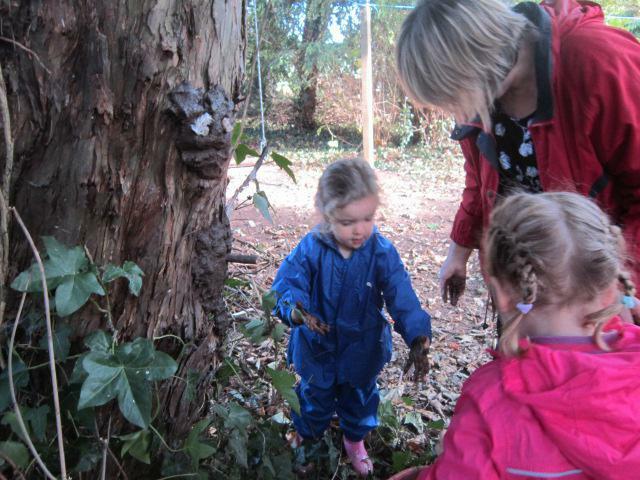 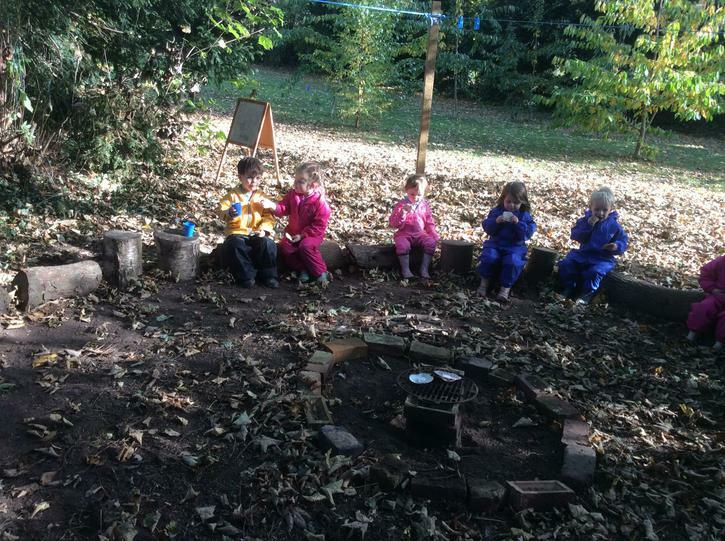 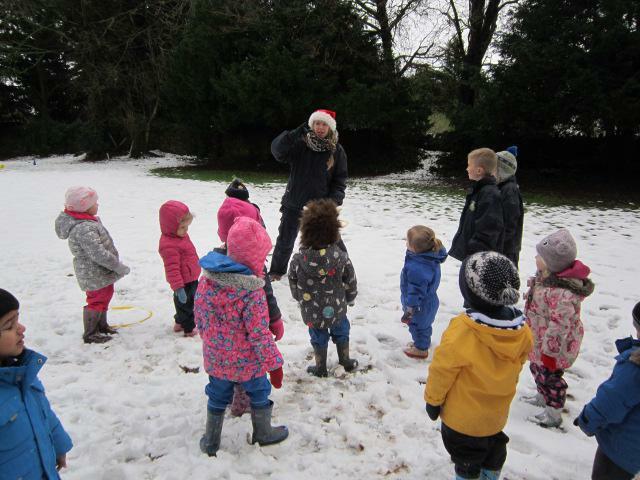 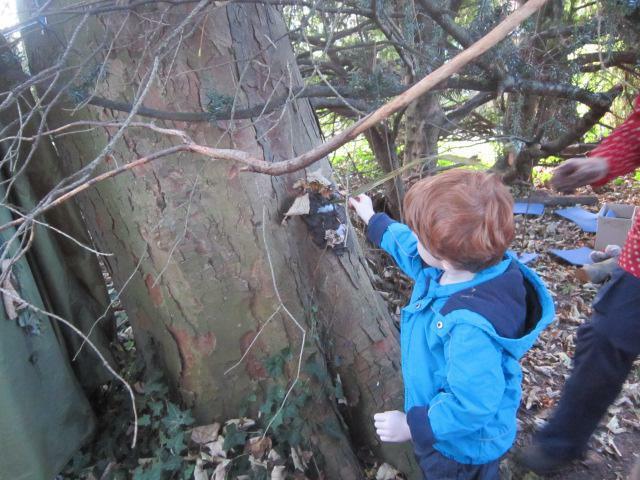 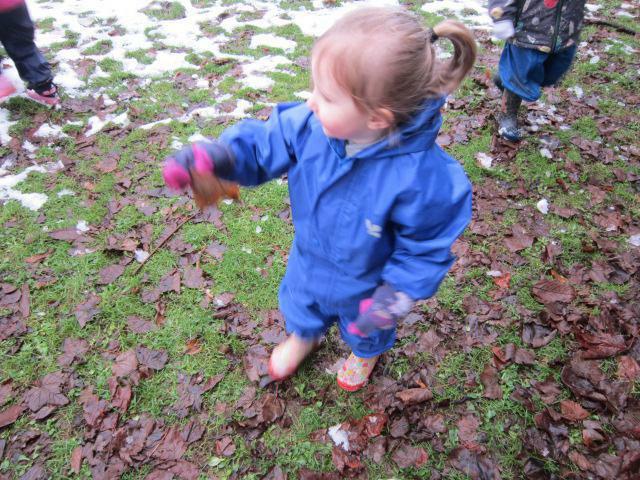 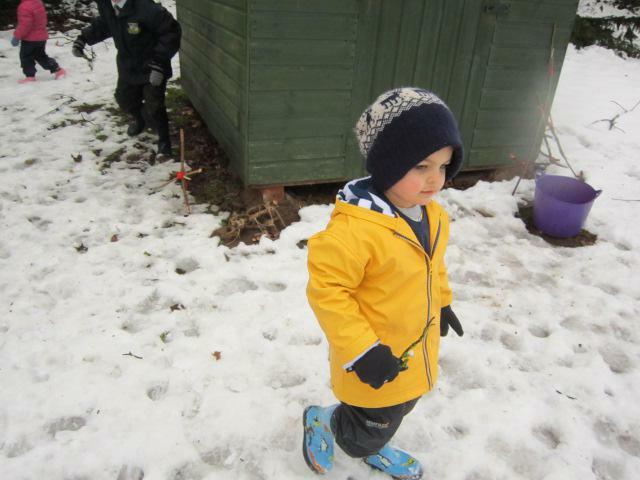 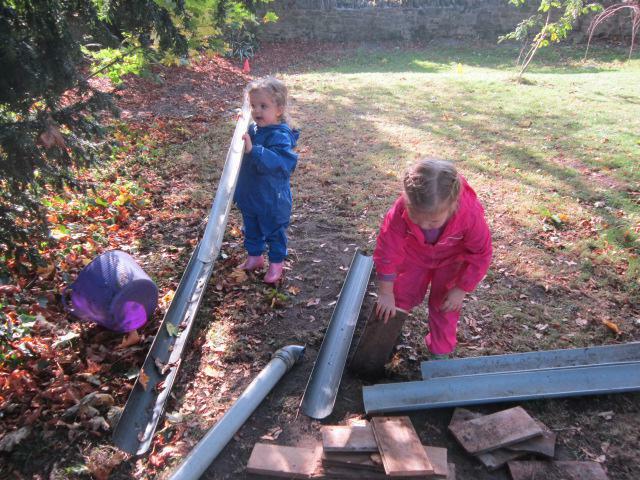 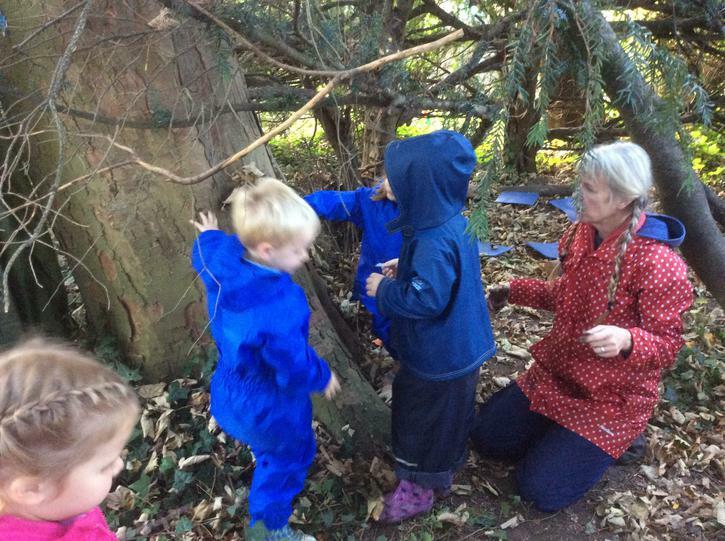 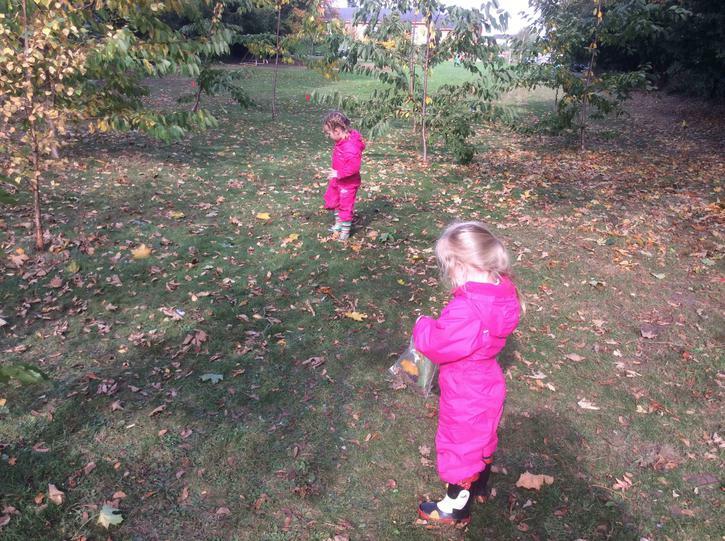 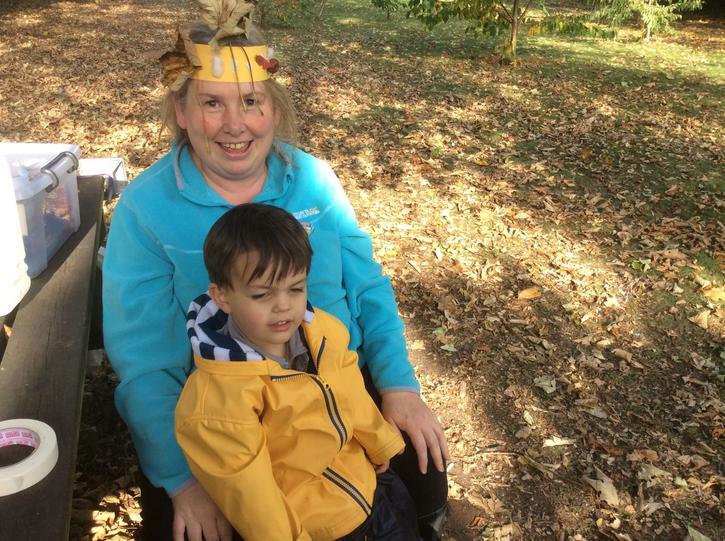 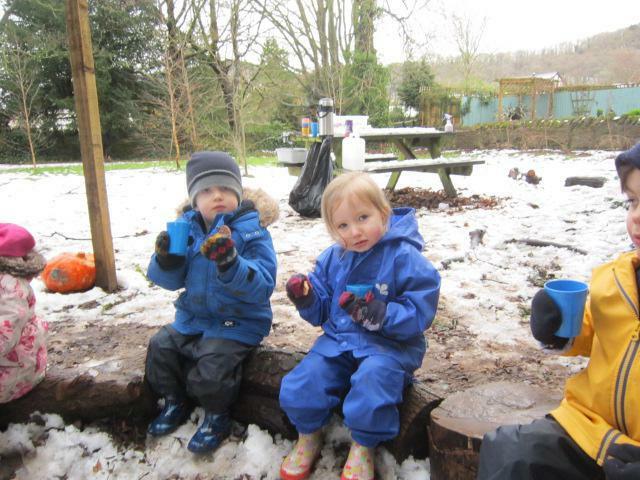 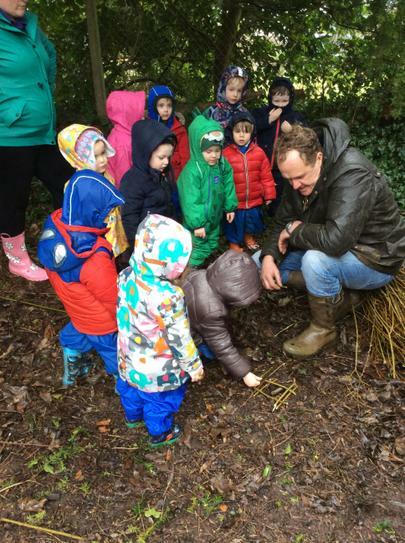 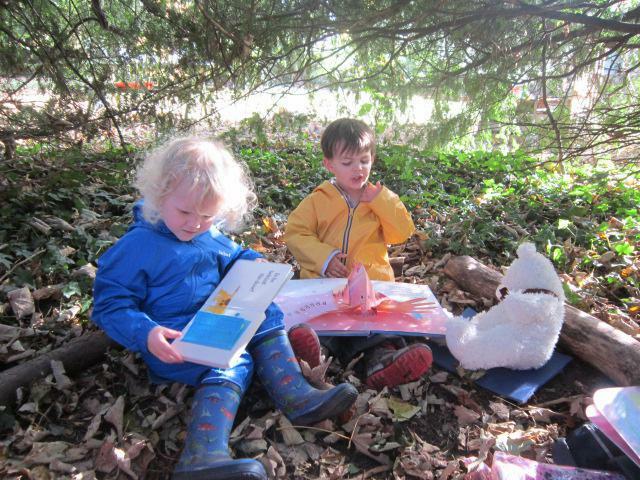 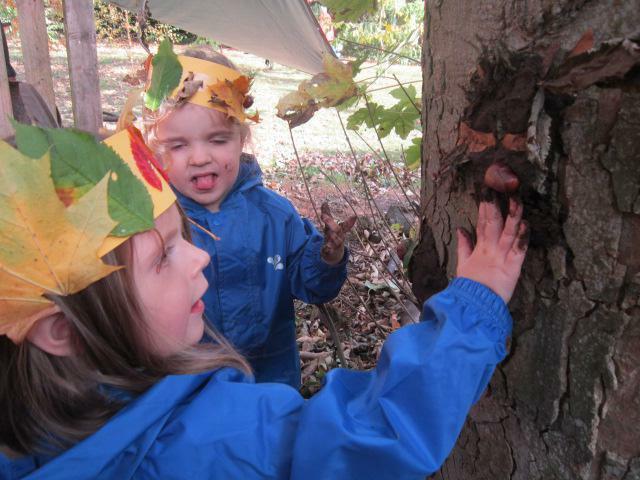 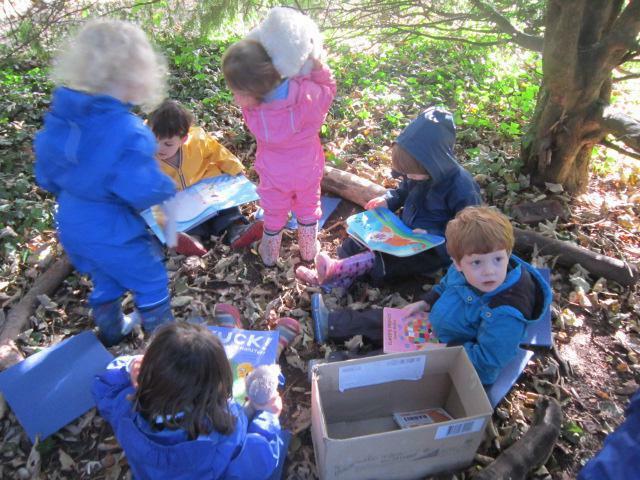 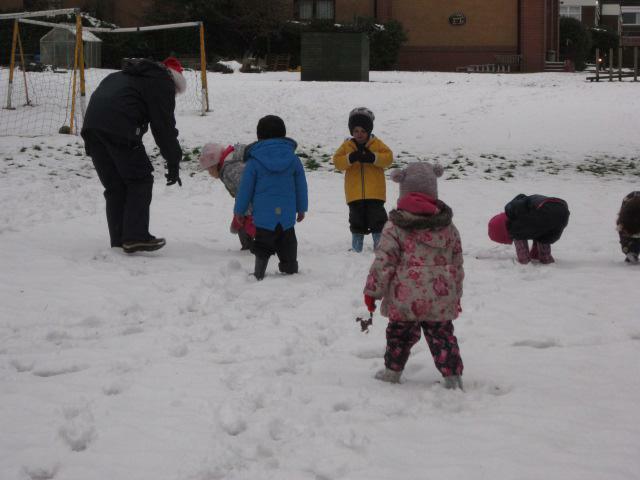 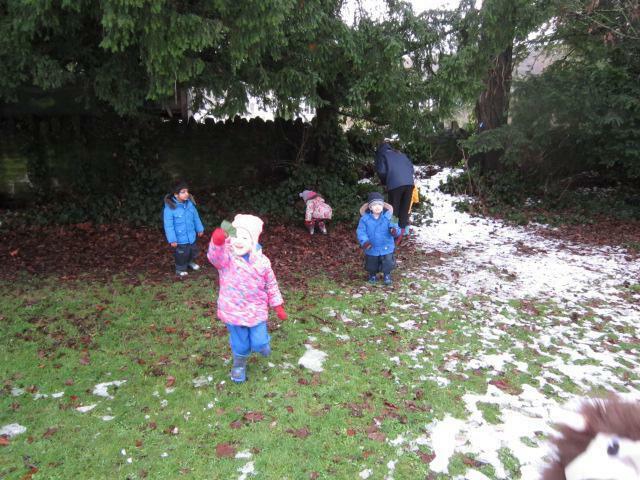 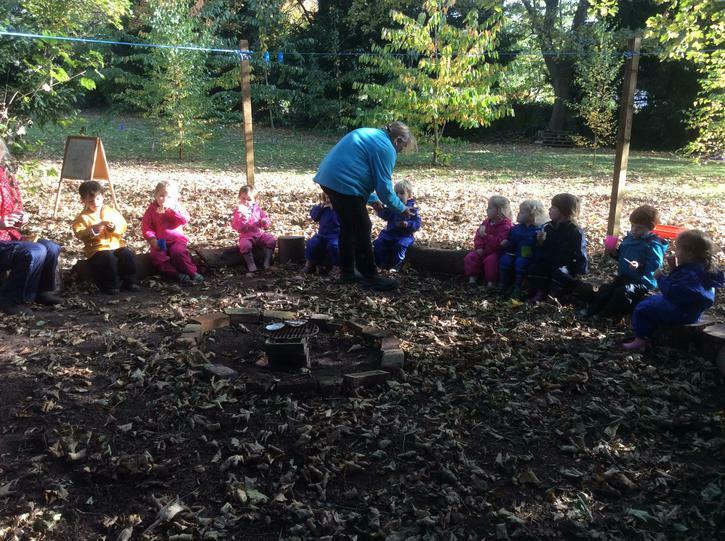 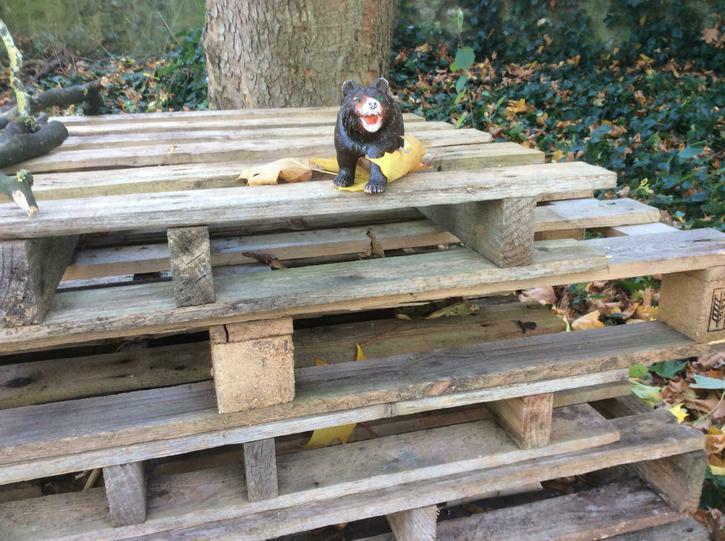 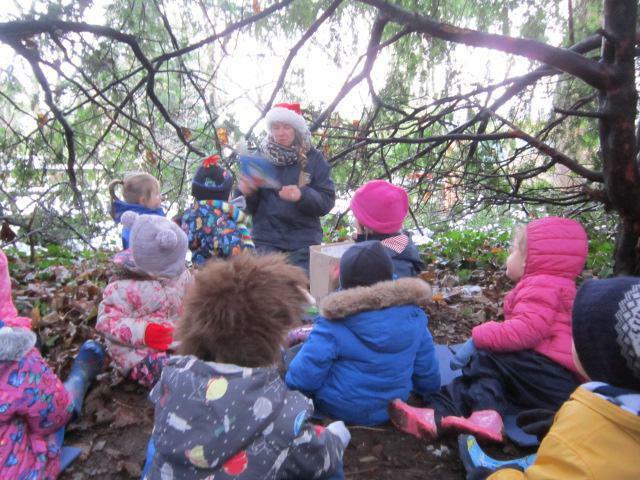 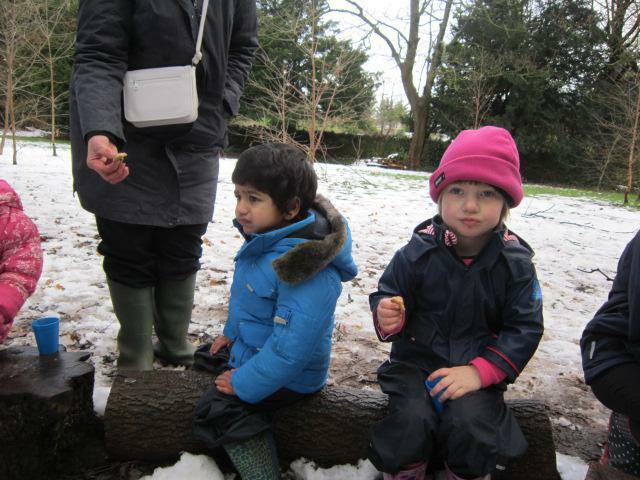 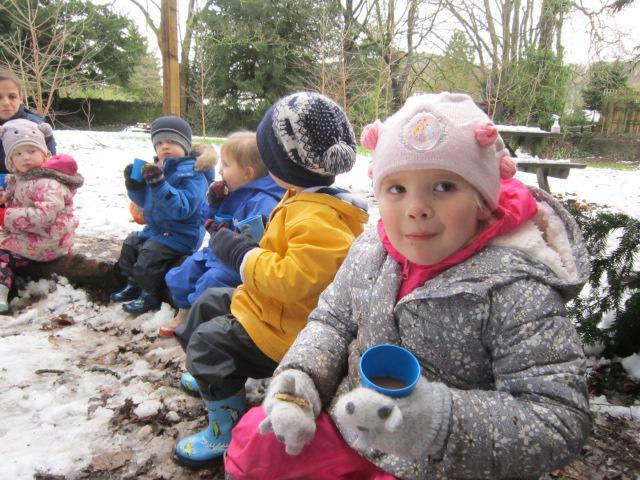 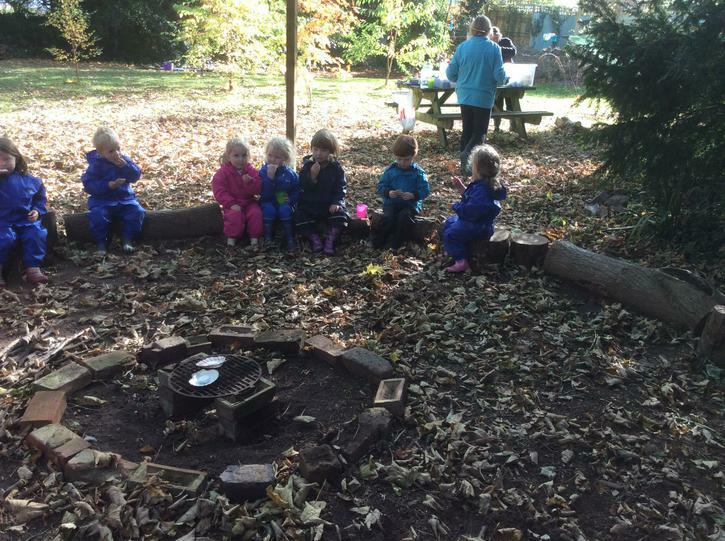 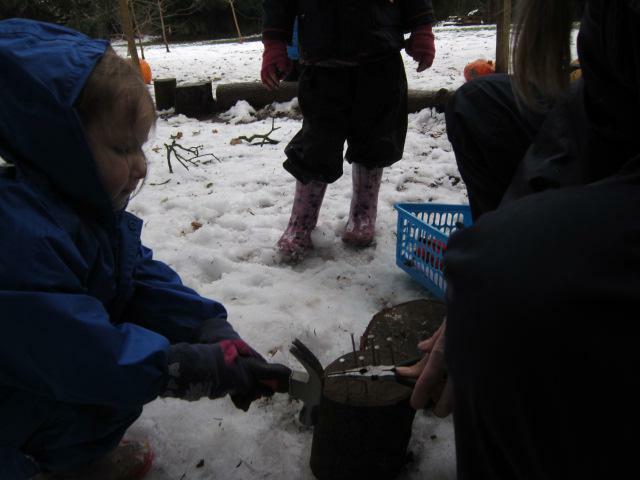 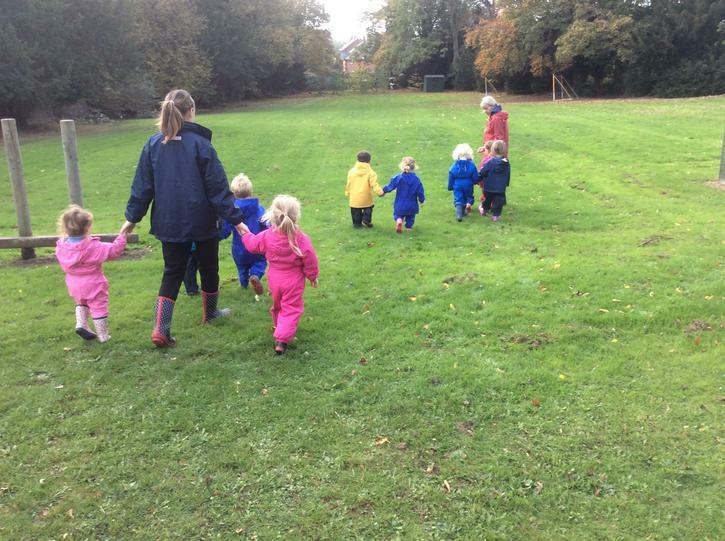 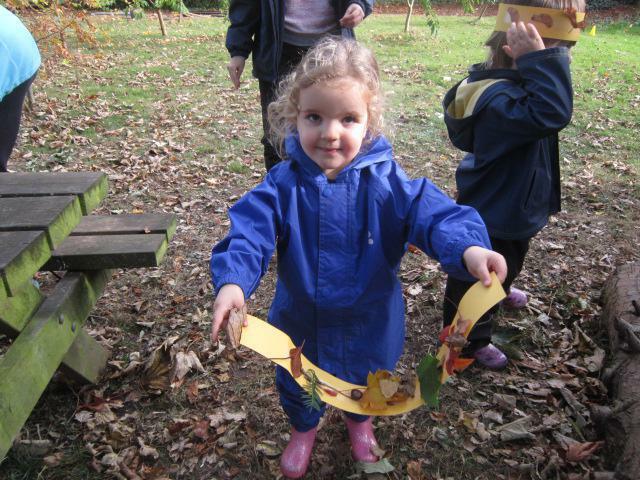 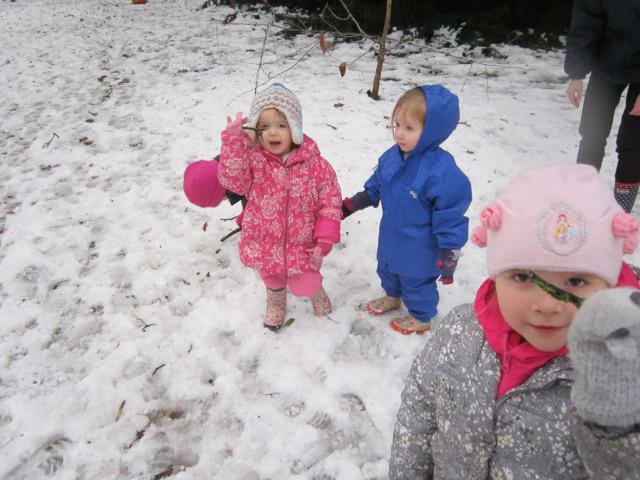 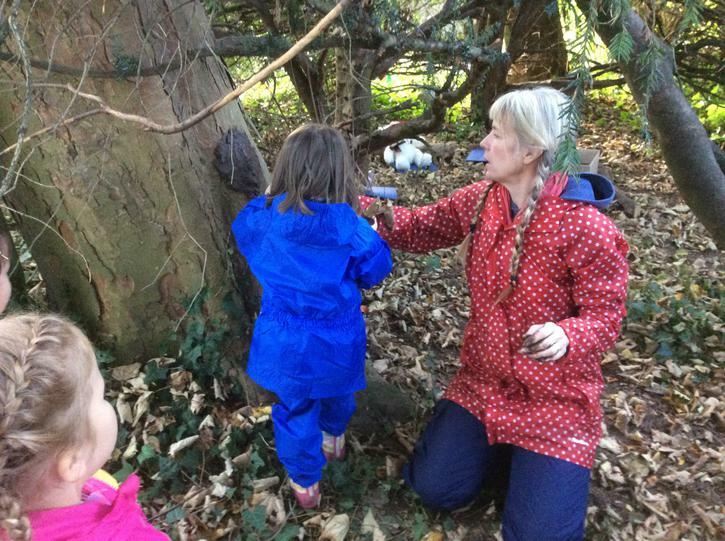 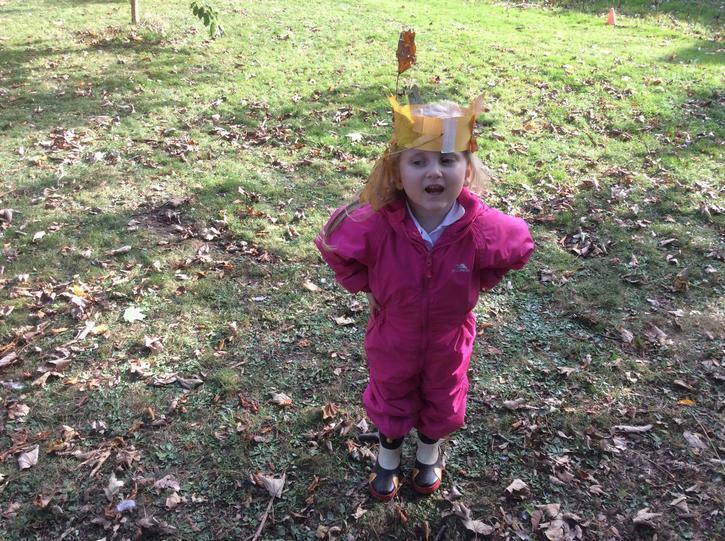 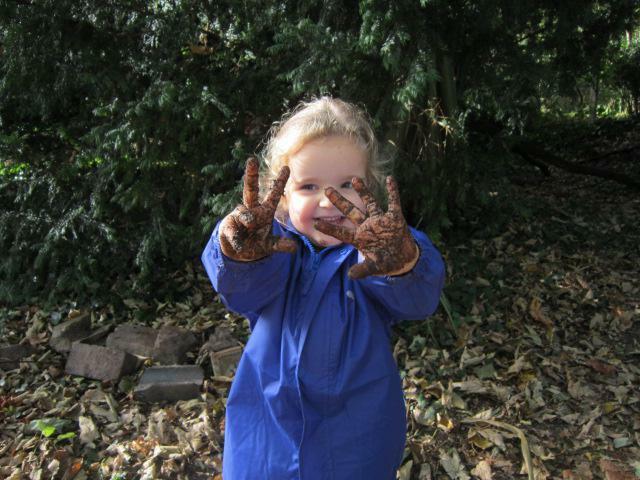 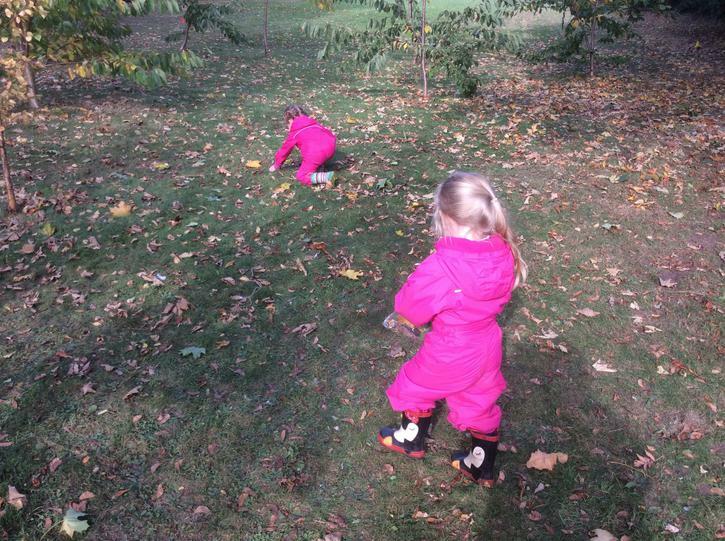 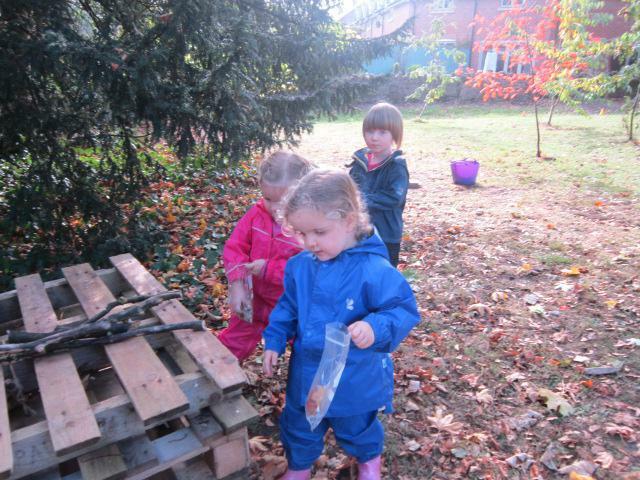 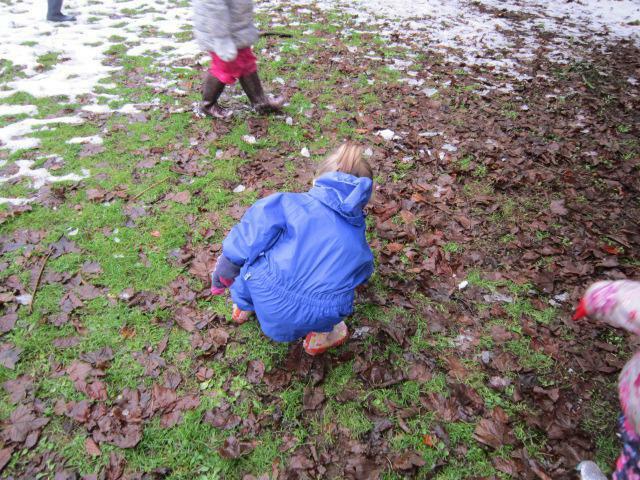 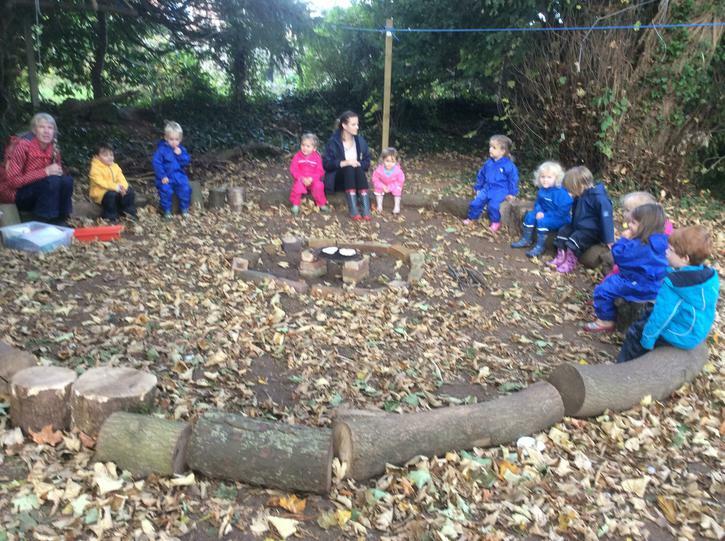 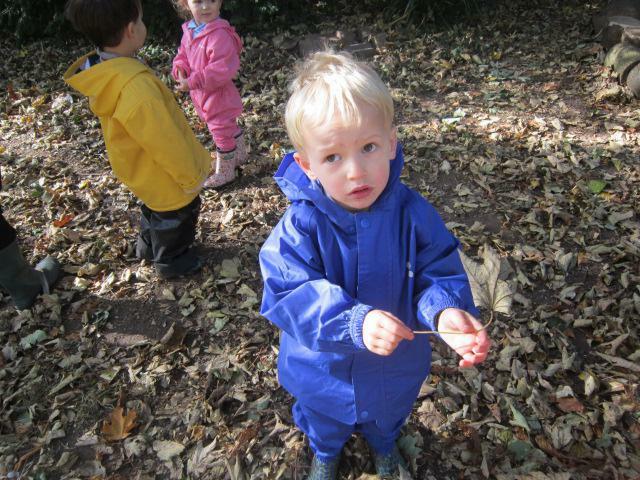 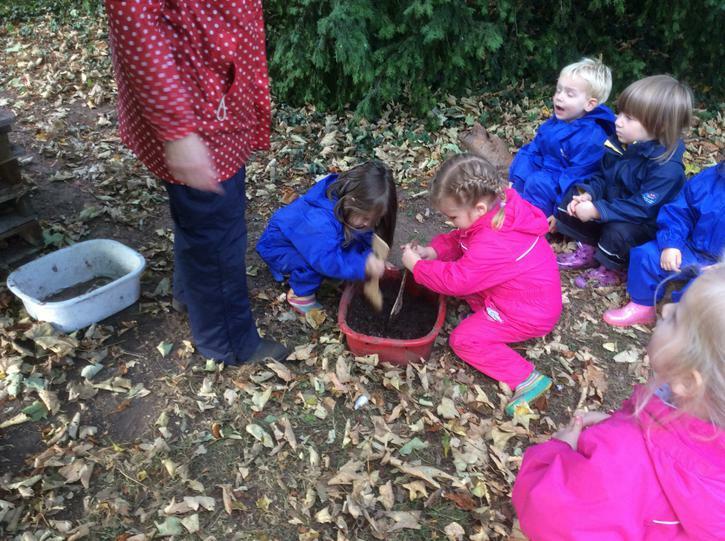 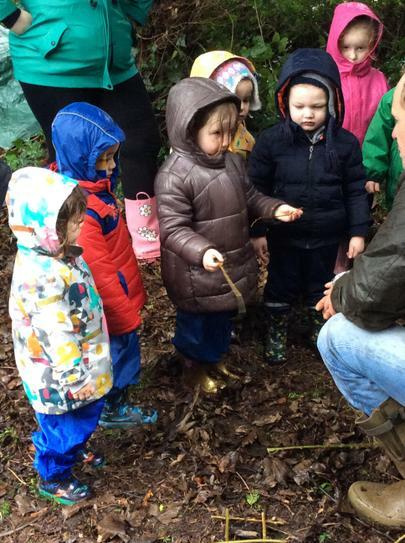 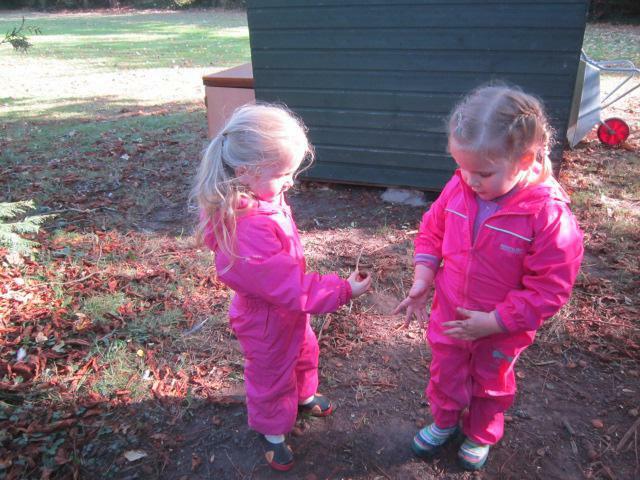 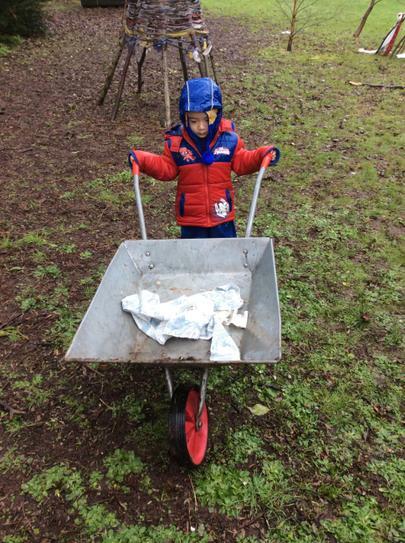 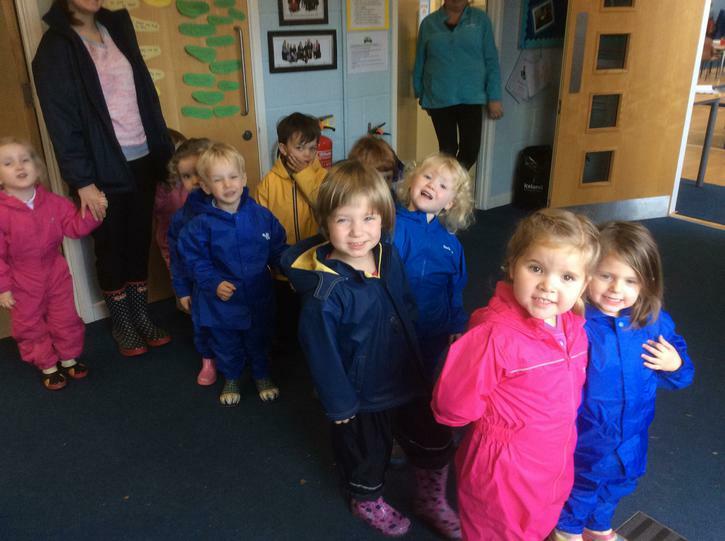 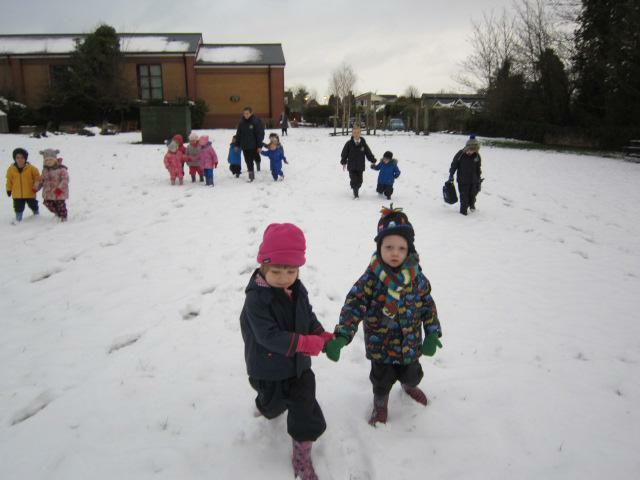 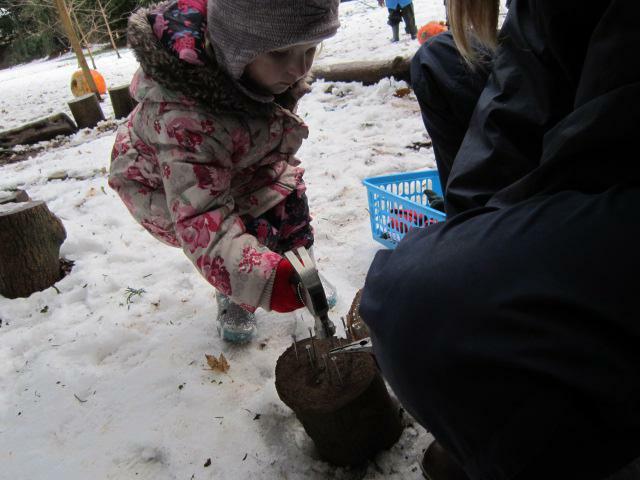 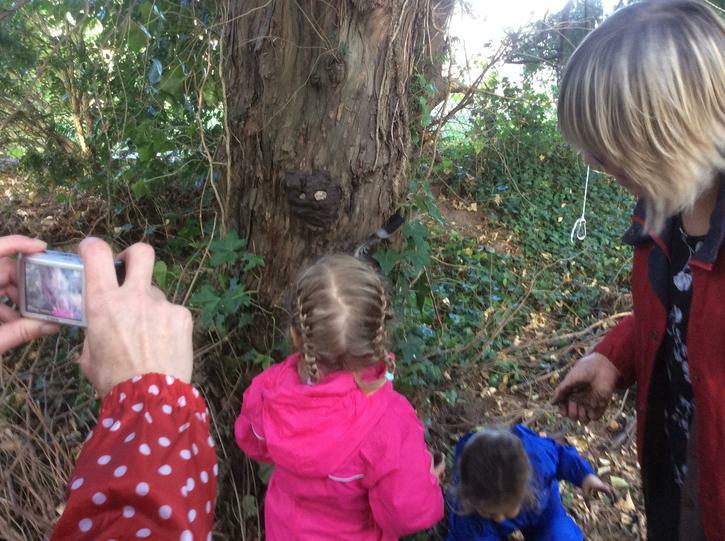 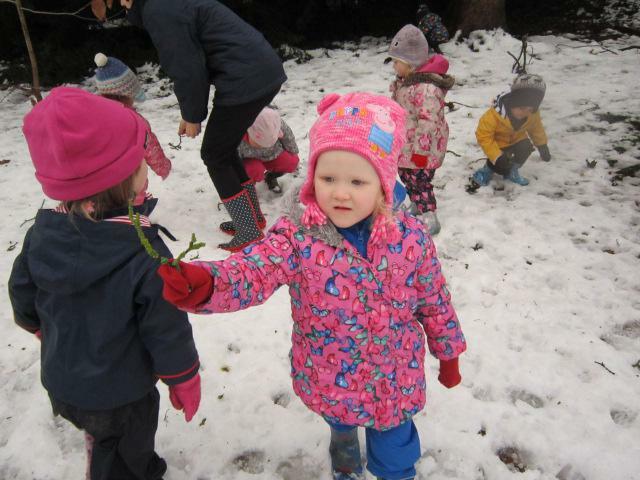 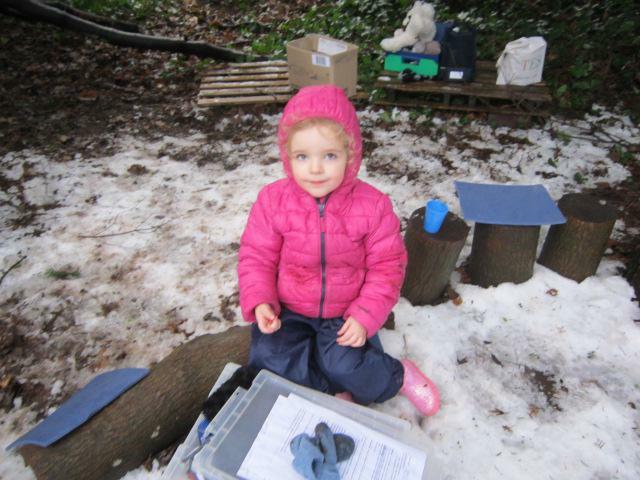 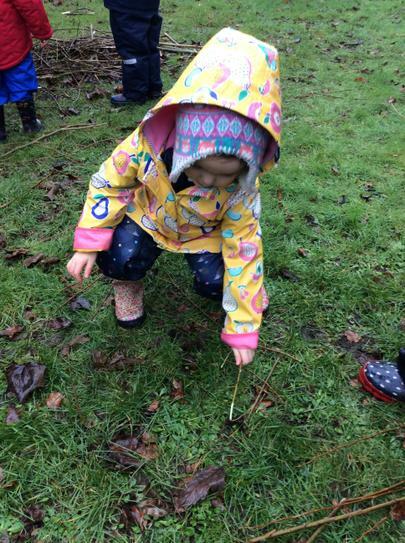 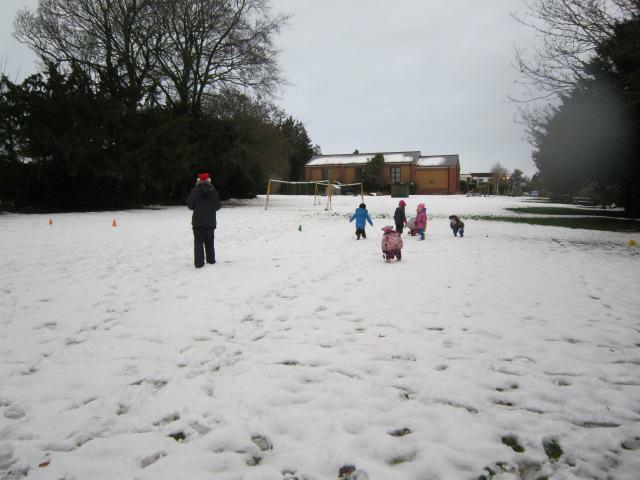 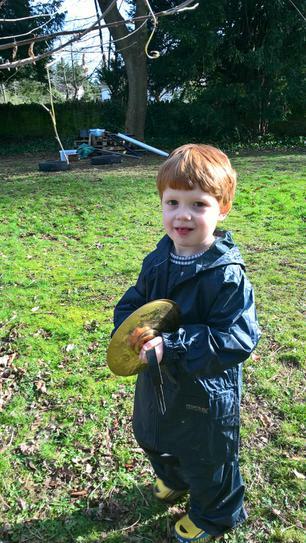 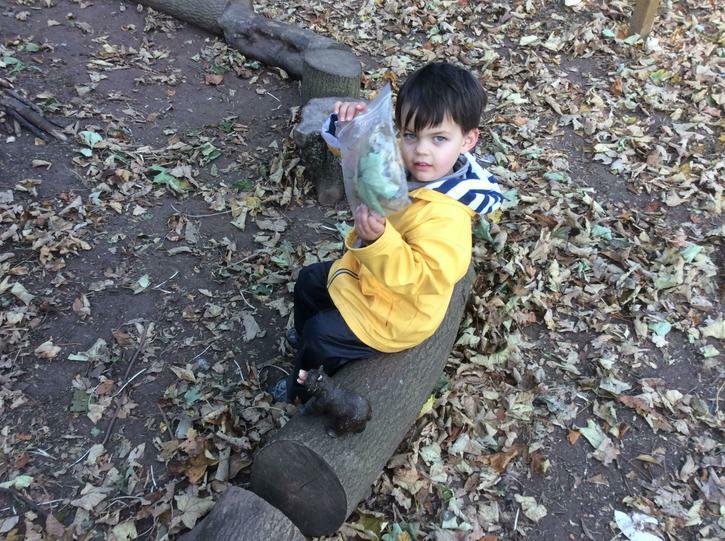 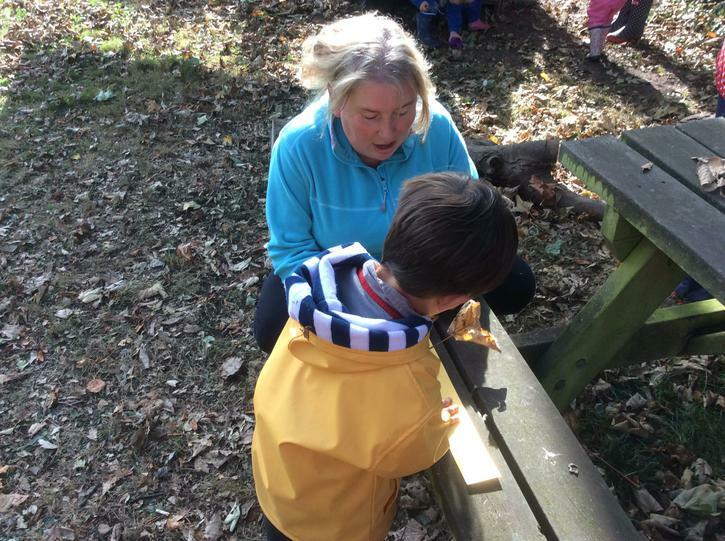 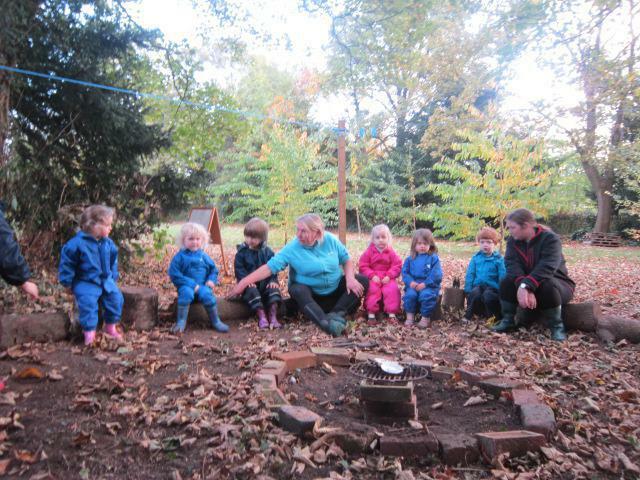 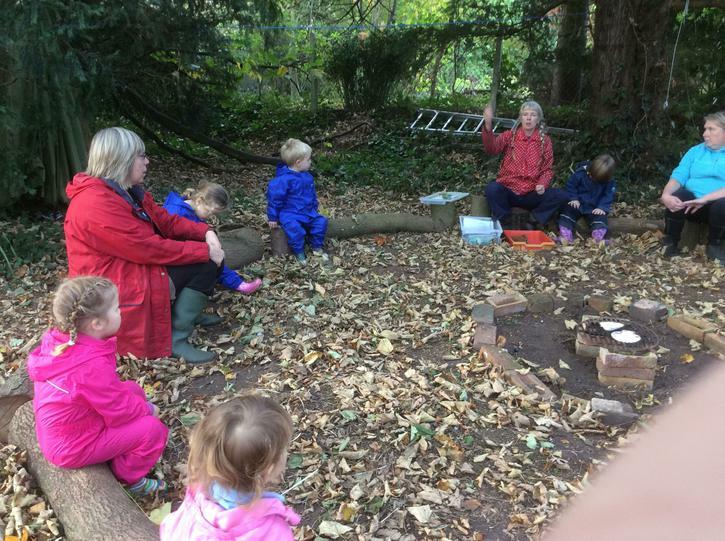 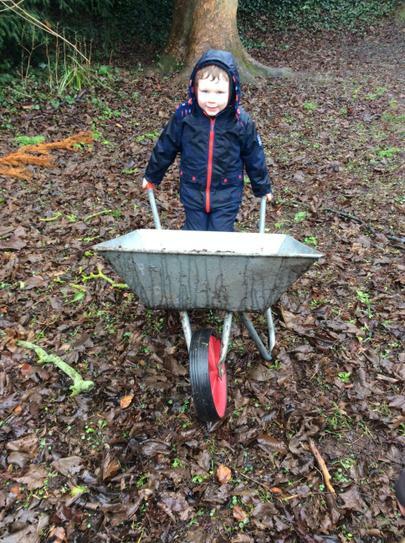 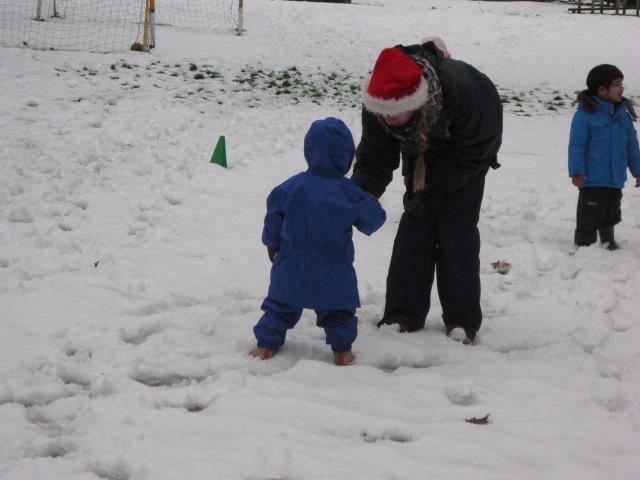 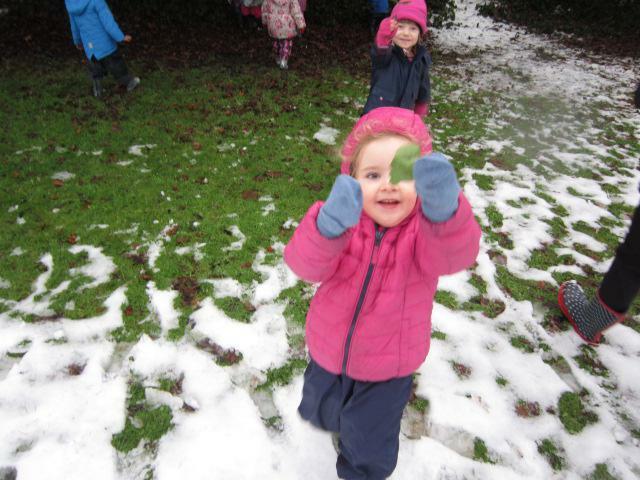 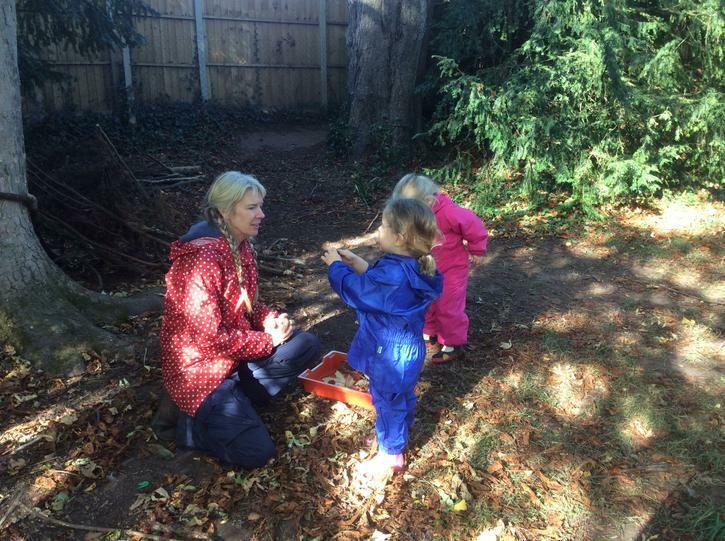 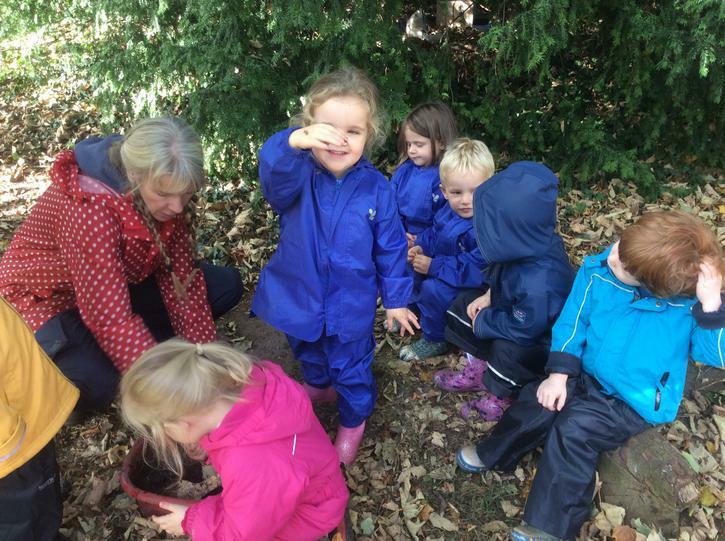 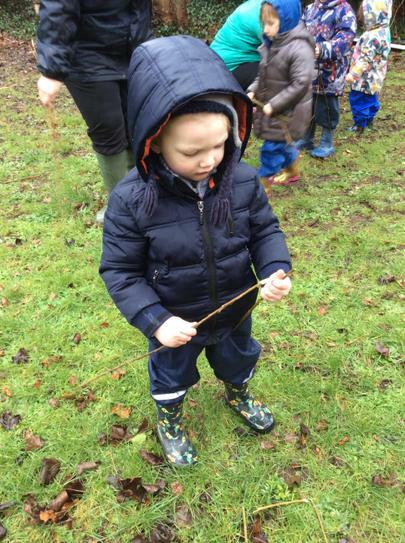 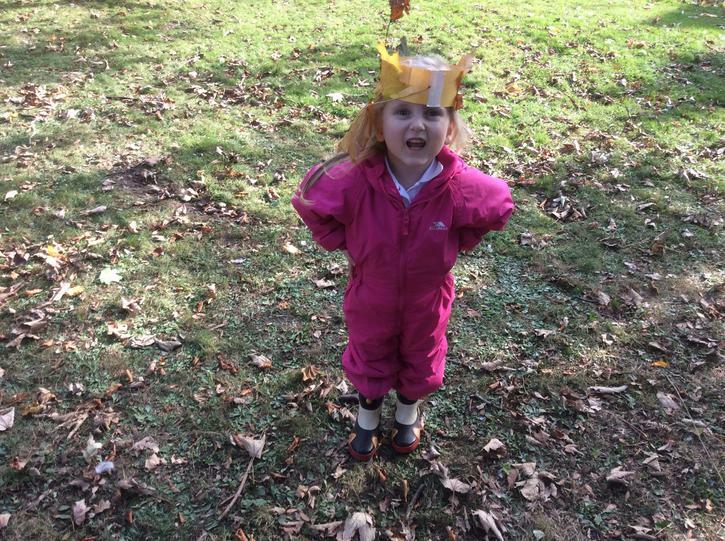 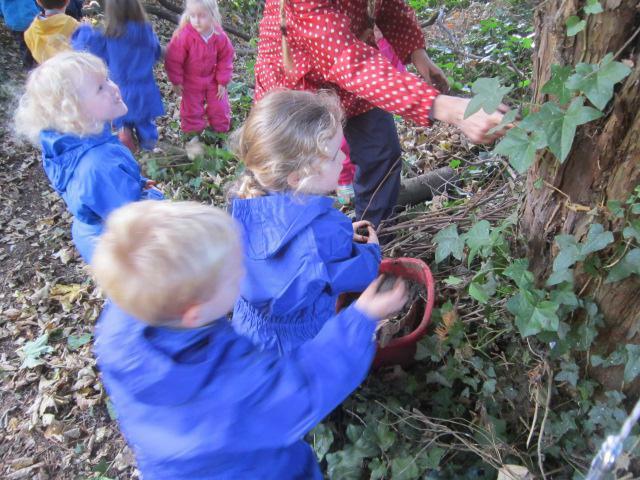 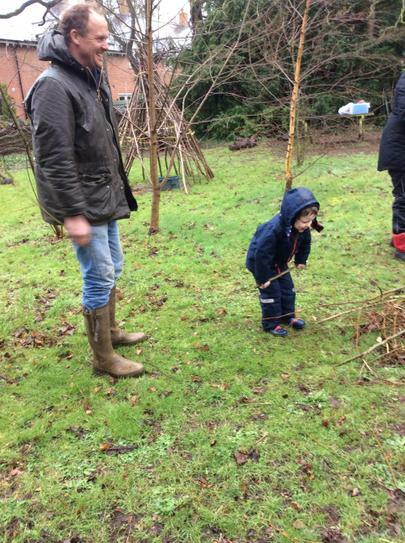 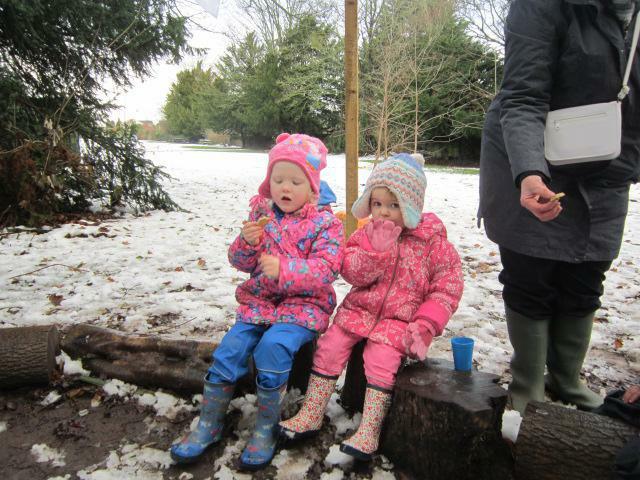 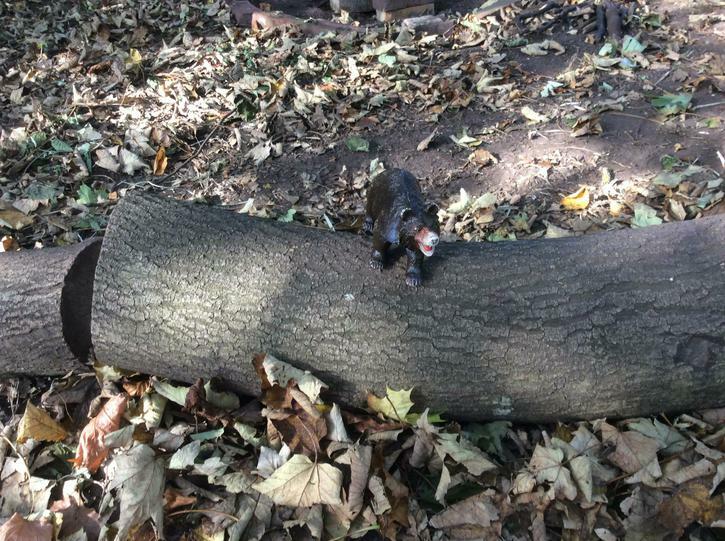 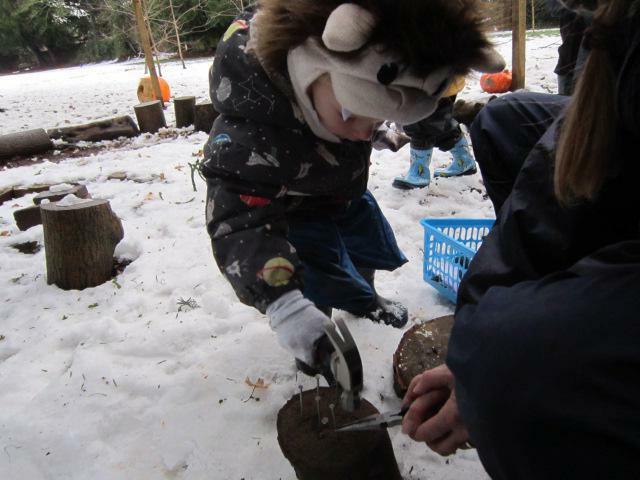 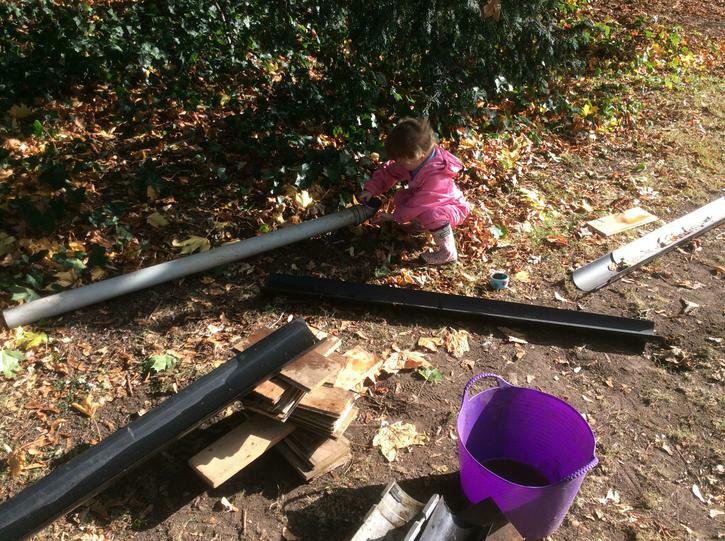 Nursery had a fantastic time this morning, taking part in Forest School! 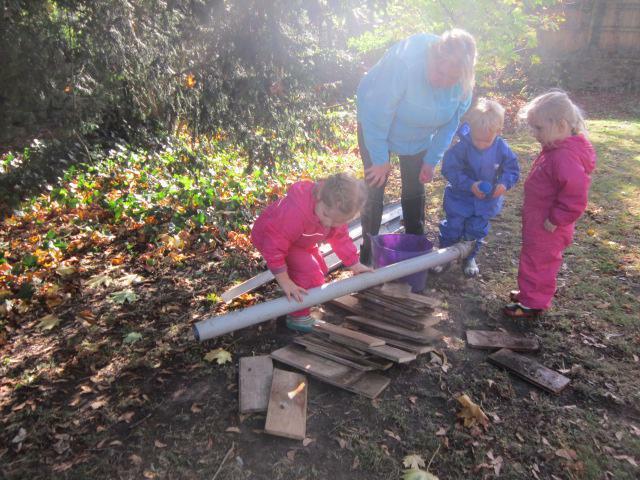 They enjoyed making willow houses from twigs and creating their own dragon house with a flag and flag pole to go outside! 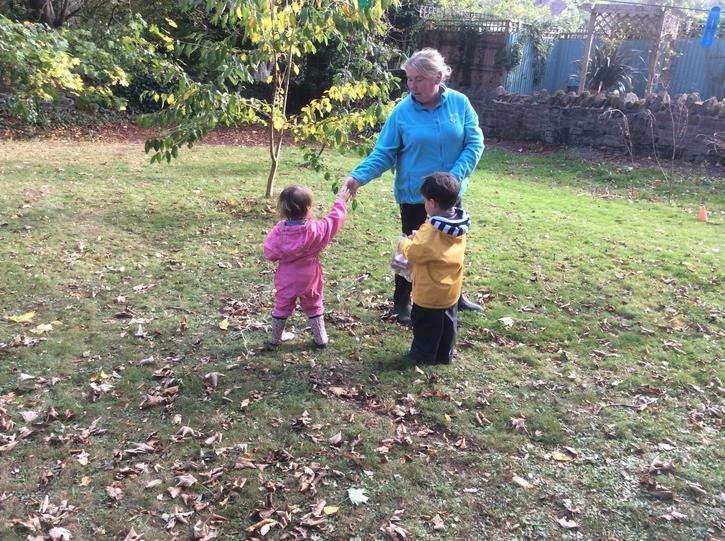 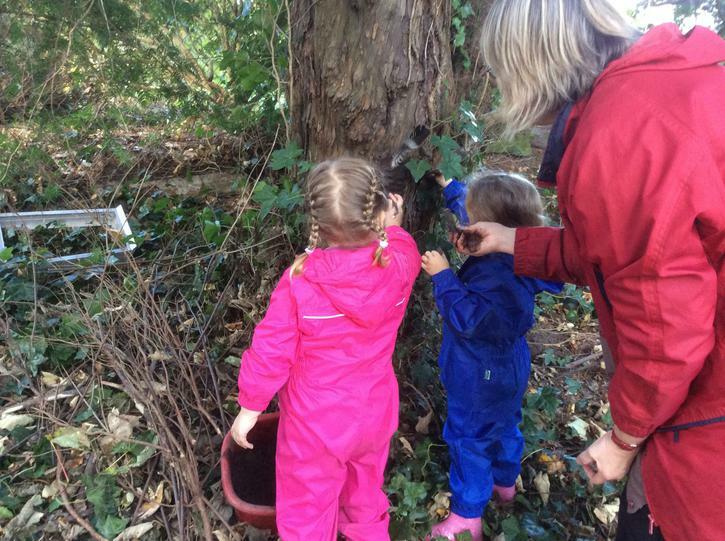 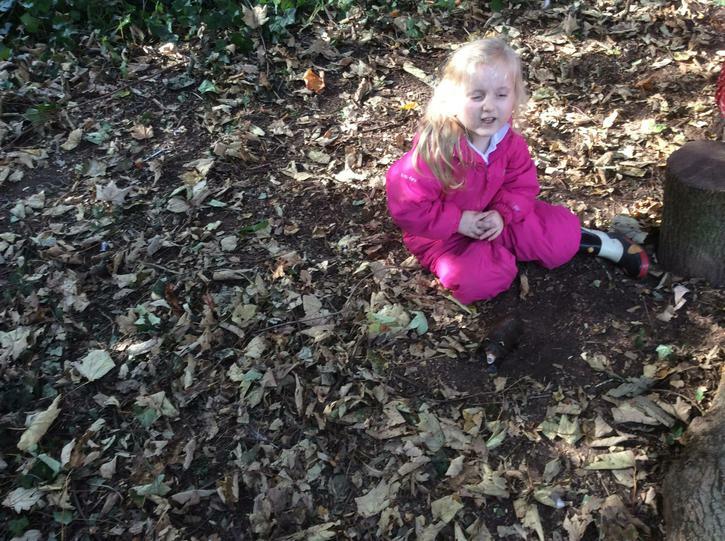 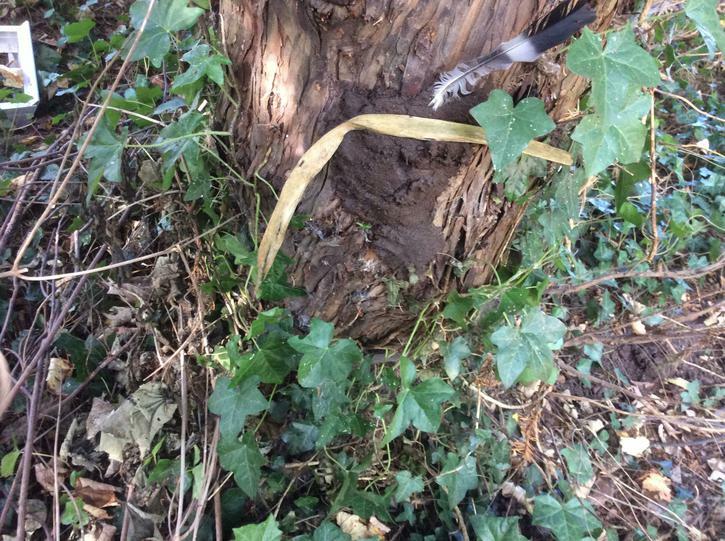 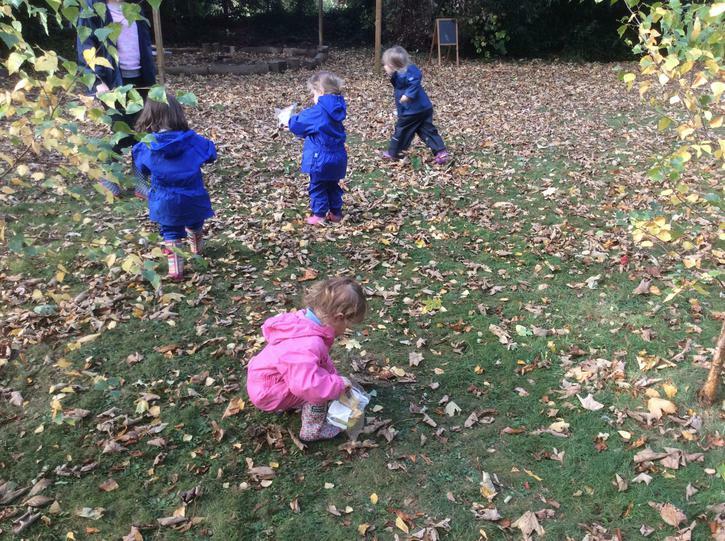 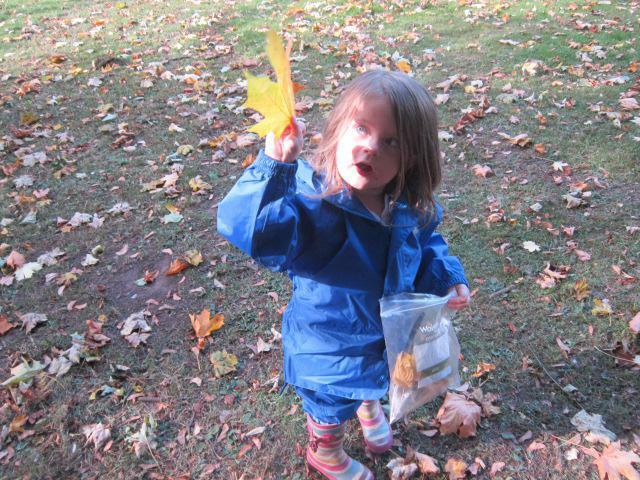 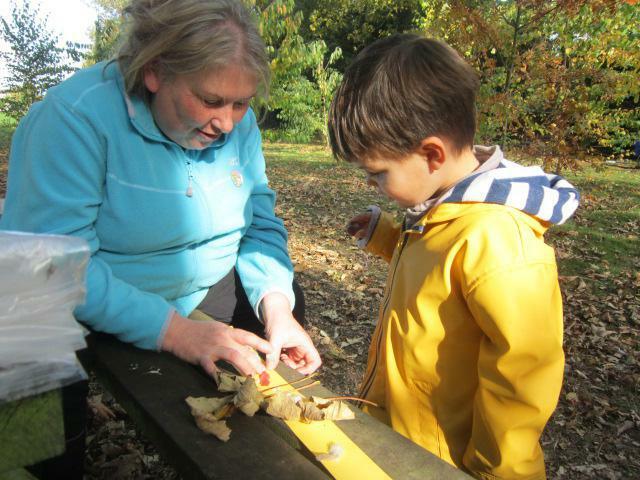 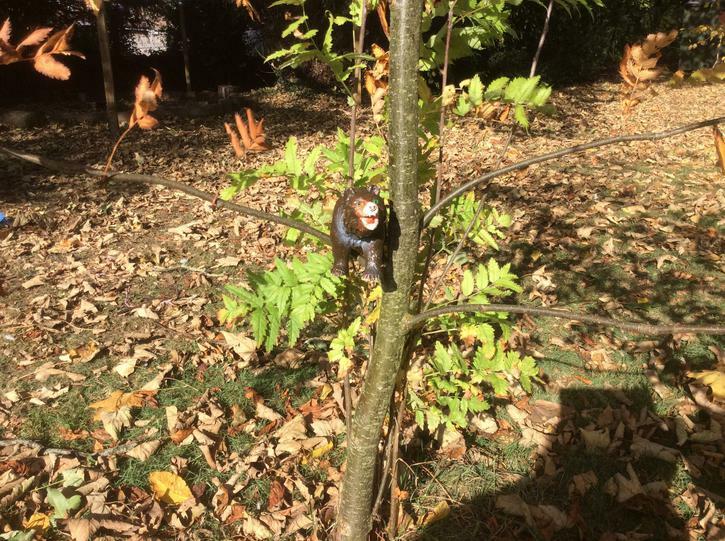 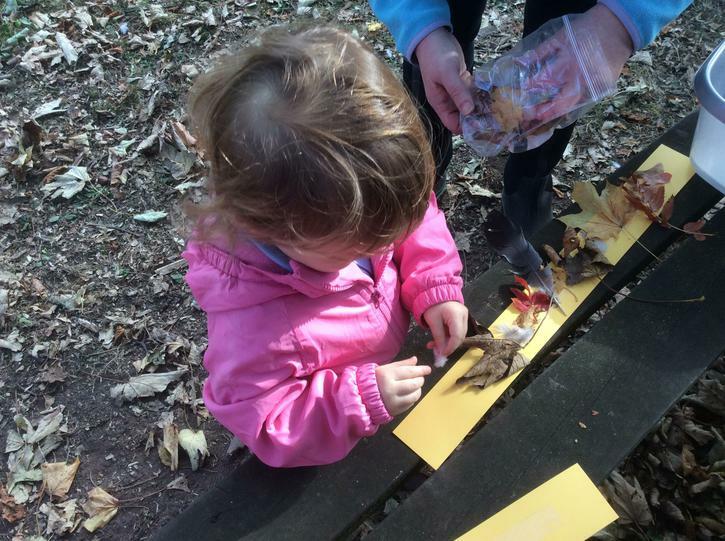 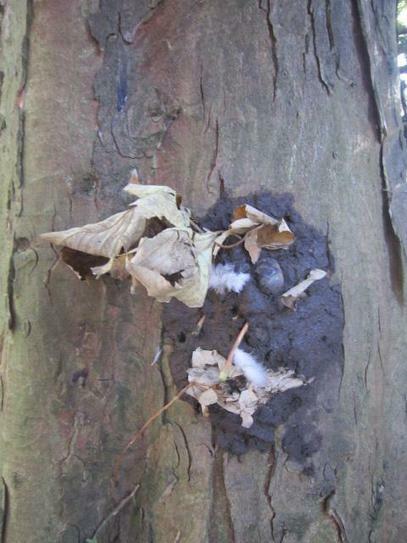 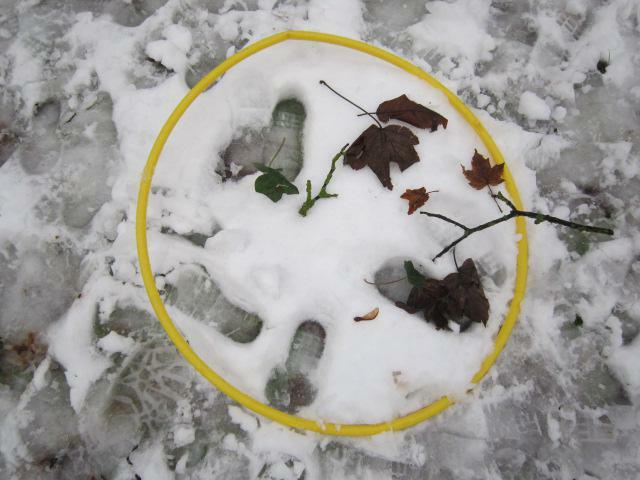 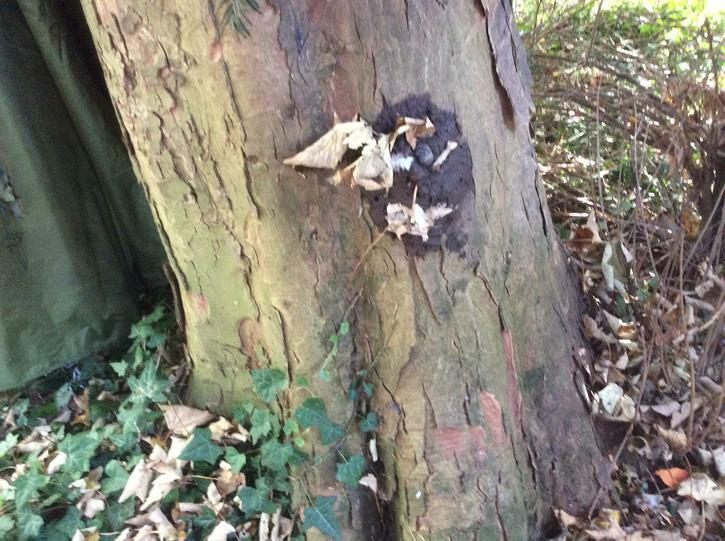 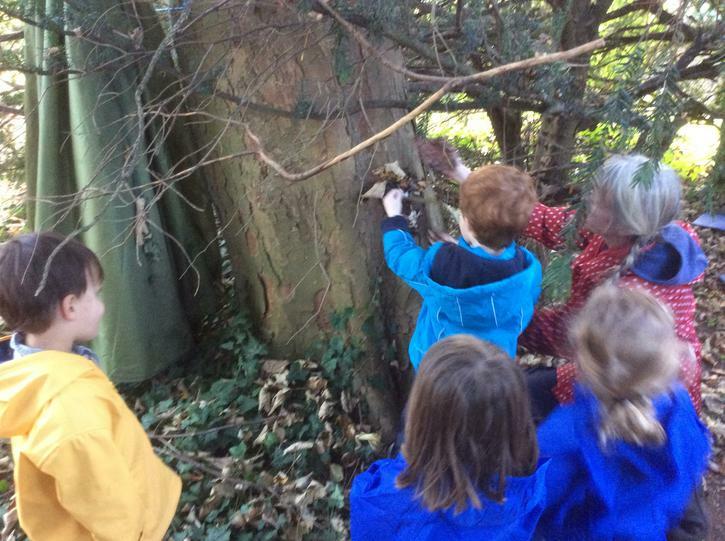 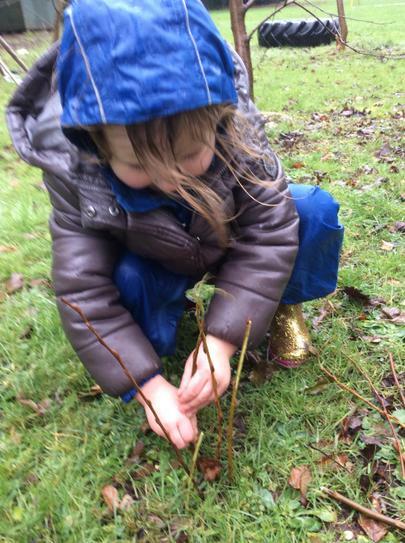 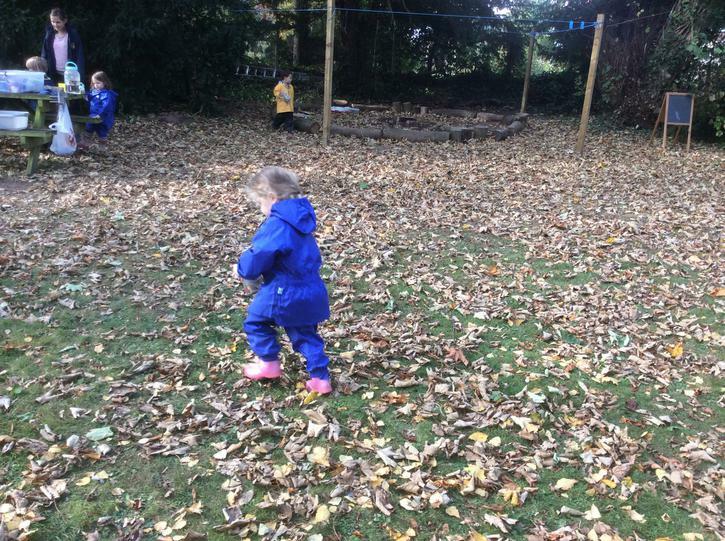 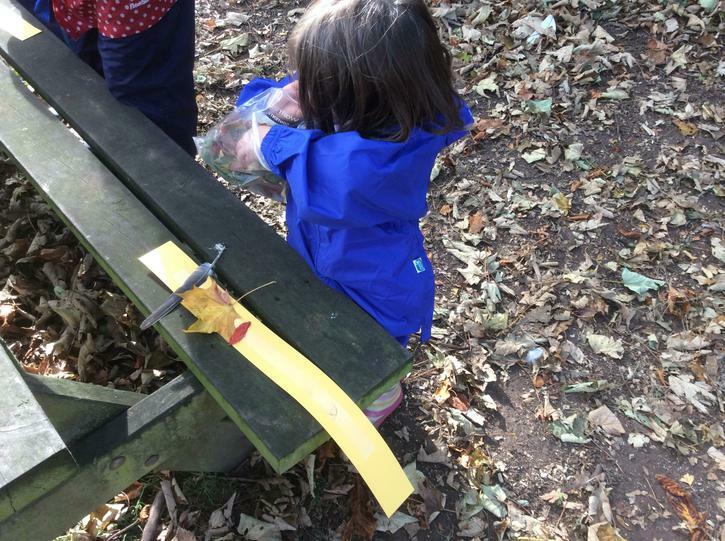 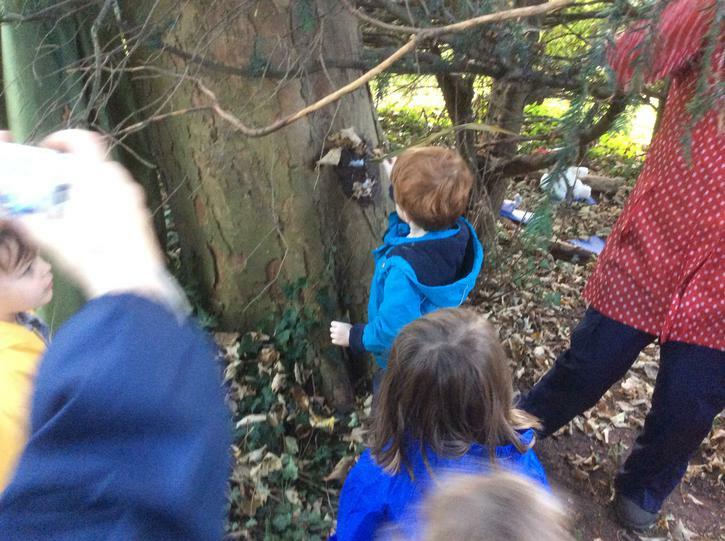 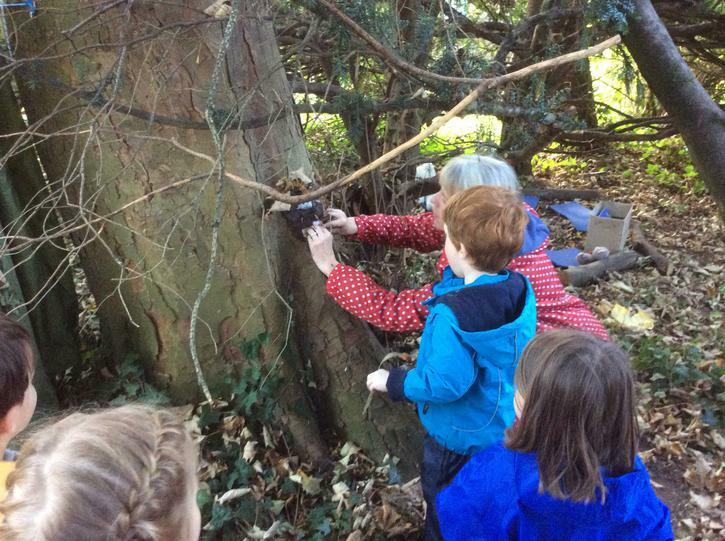 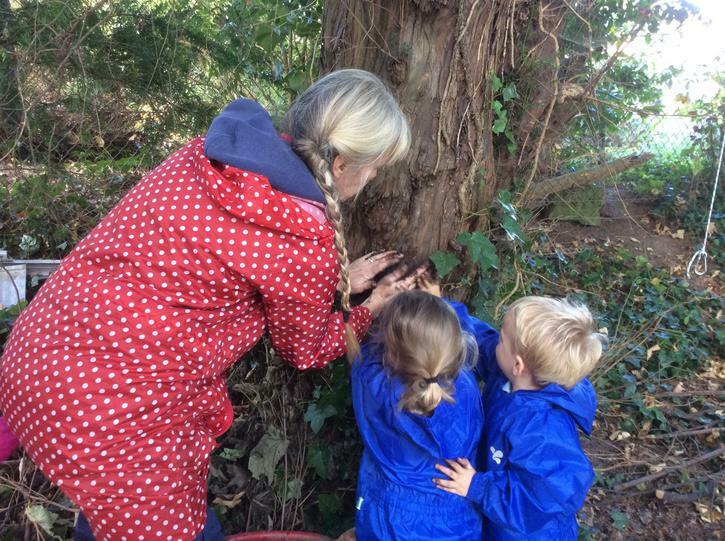 The Nursery children explored the different kinds of trees by looking closely at leaf shapes and went on a scavenger hunt to find leaves that matched the ones given to their group. 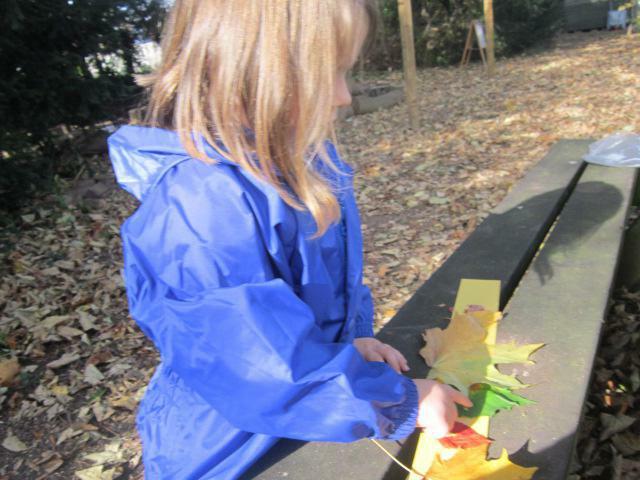 Each person had a go at using a hammer to make a leaf print on a canvas to make a beautiful flag. 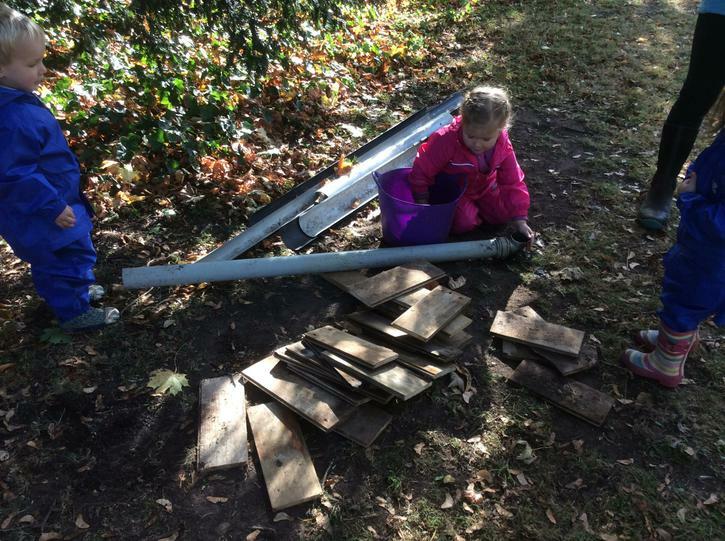 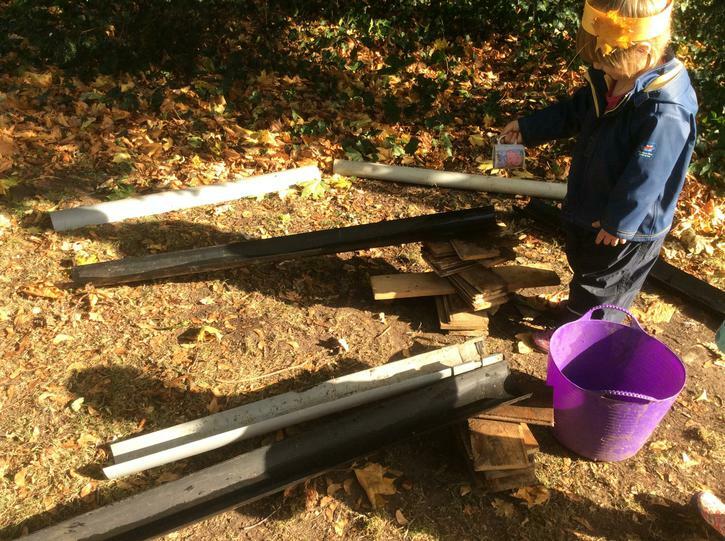 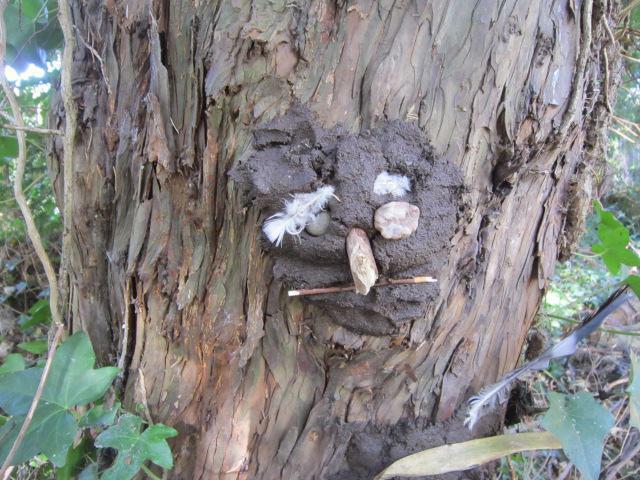 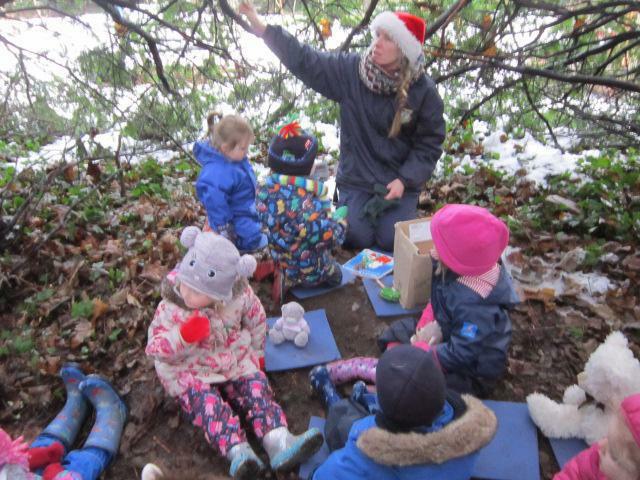 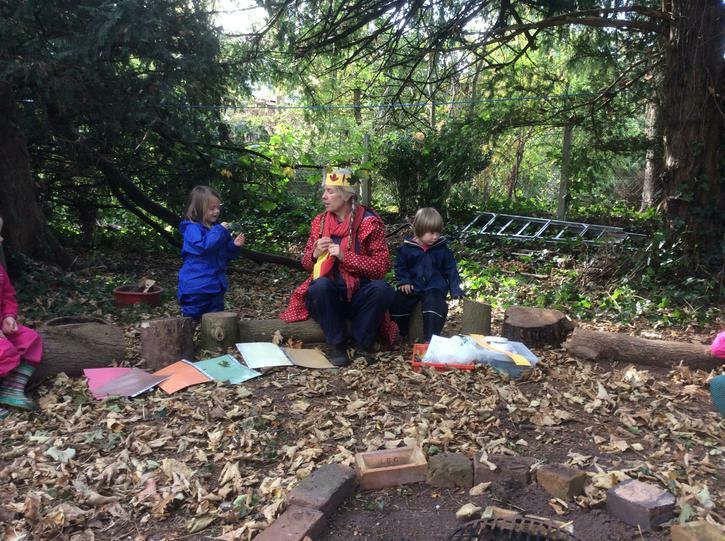 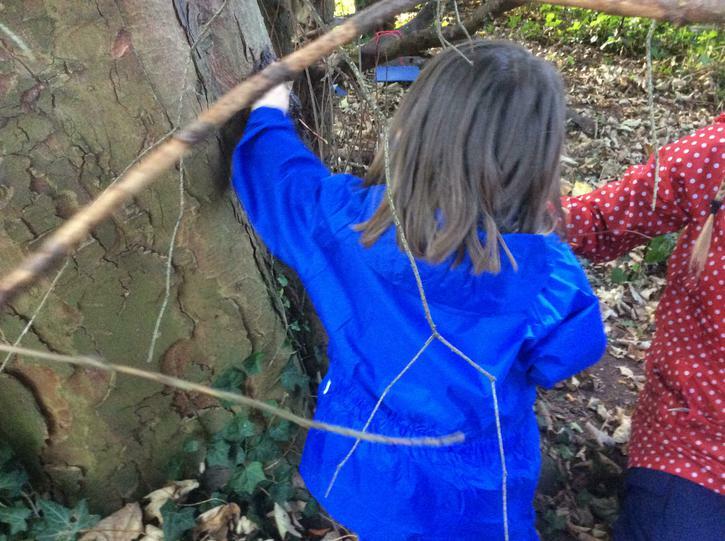 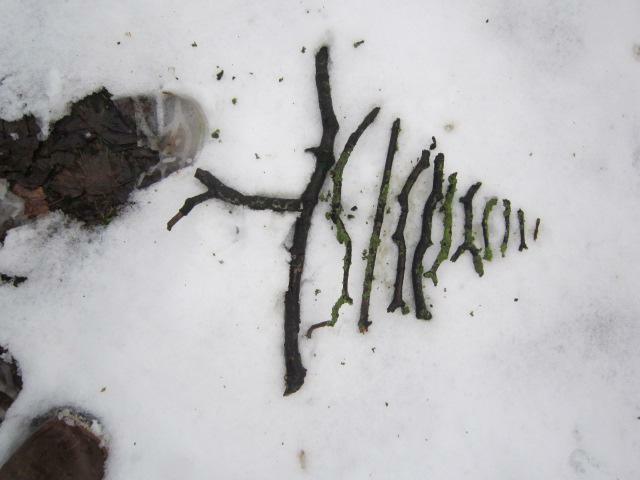 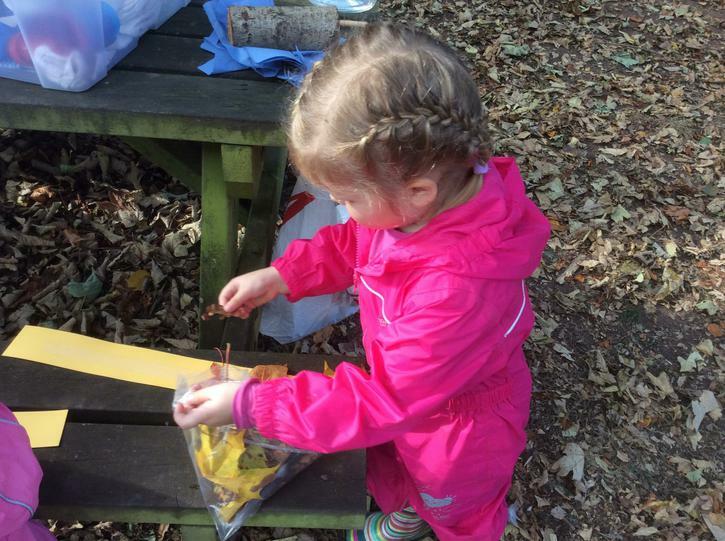 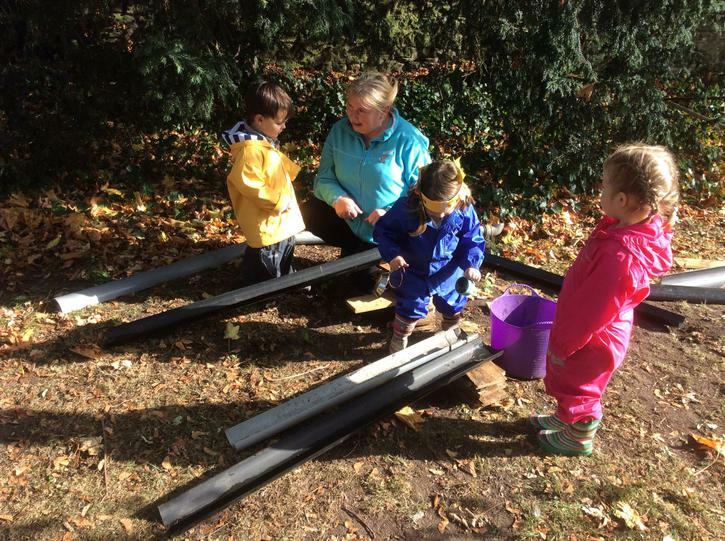 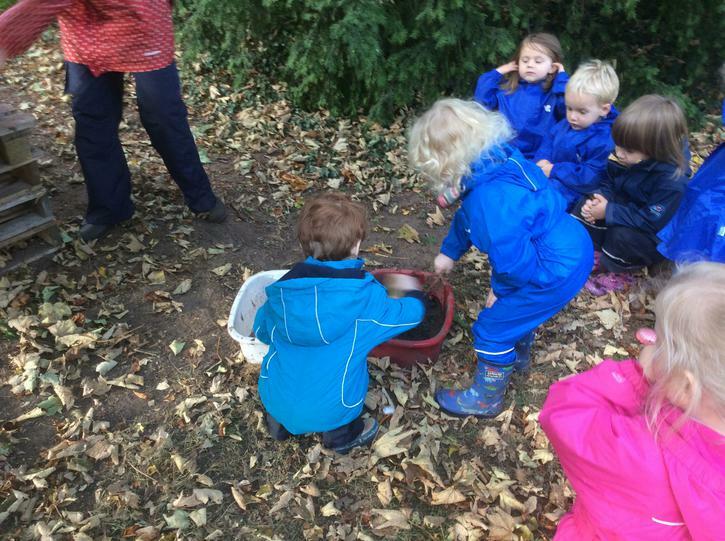 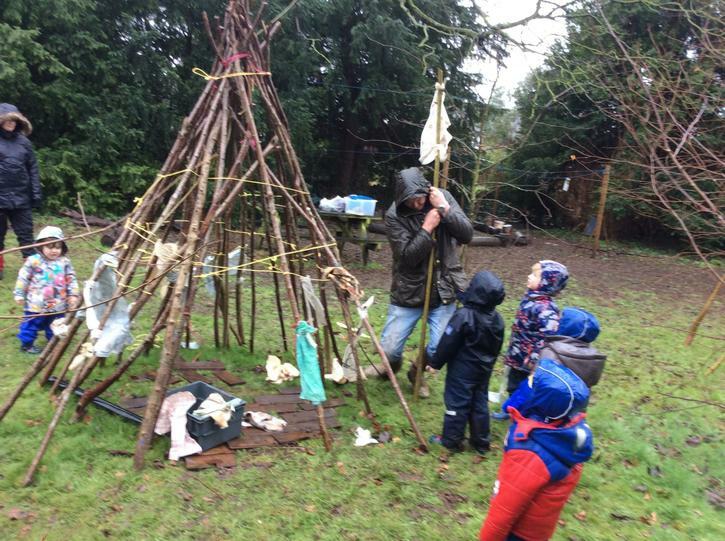 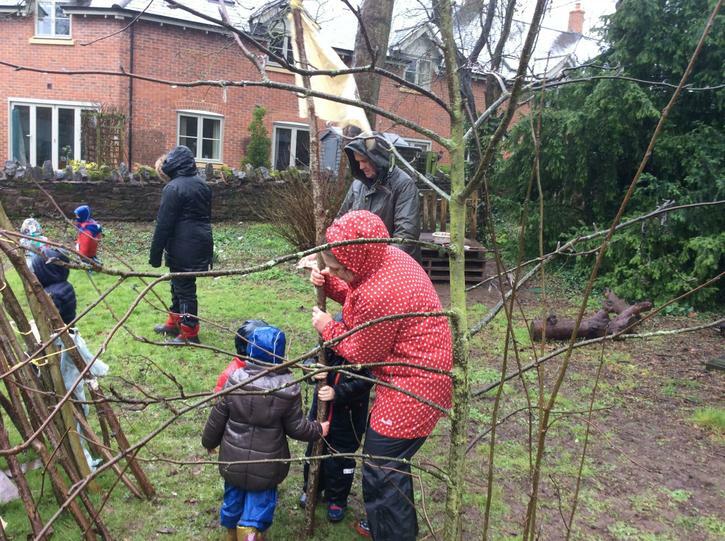 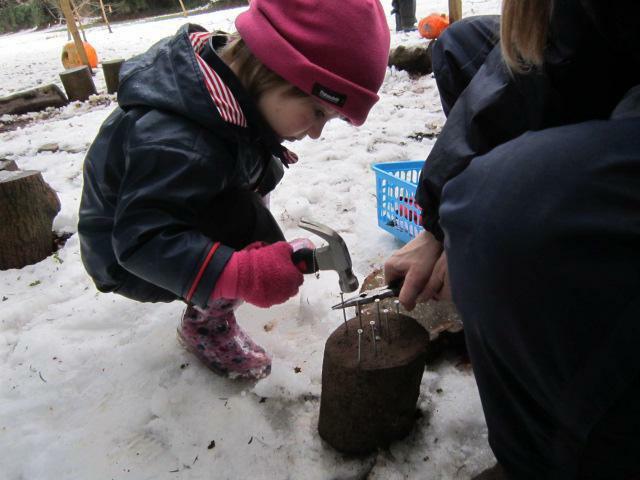 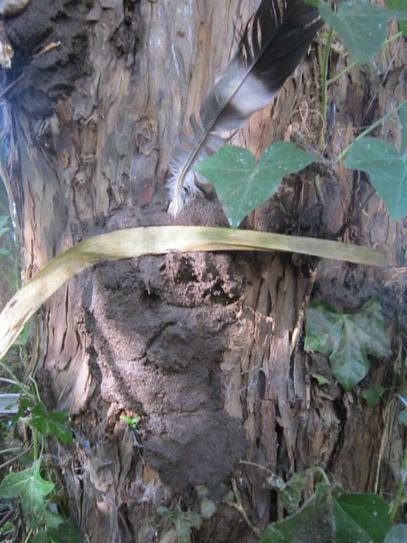 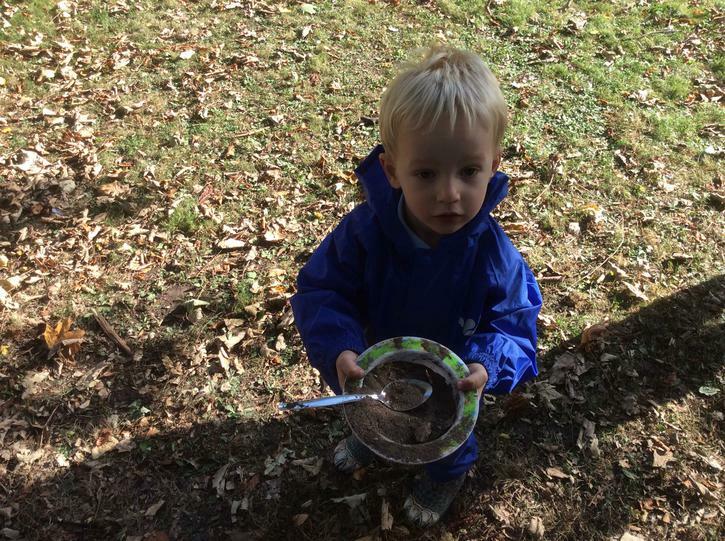 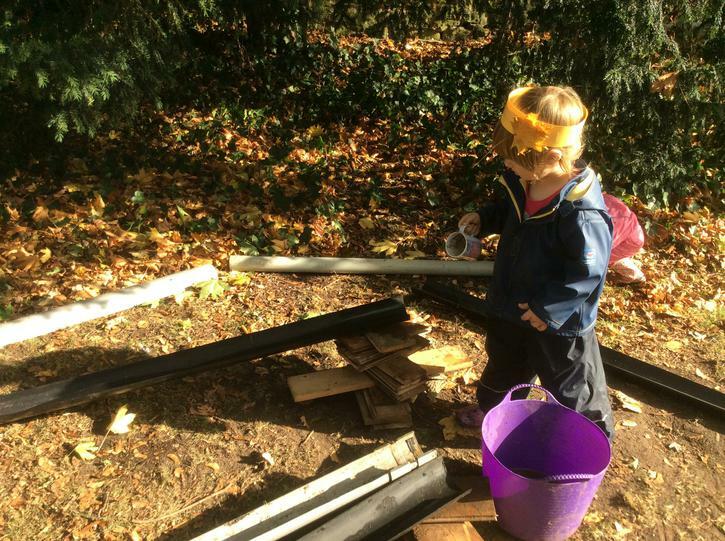 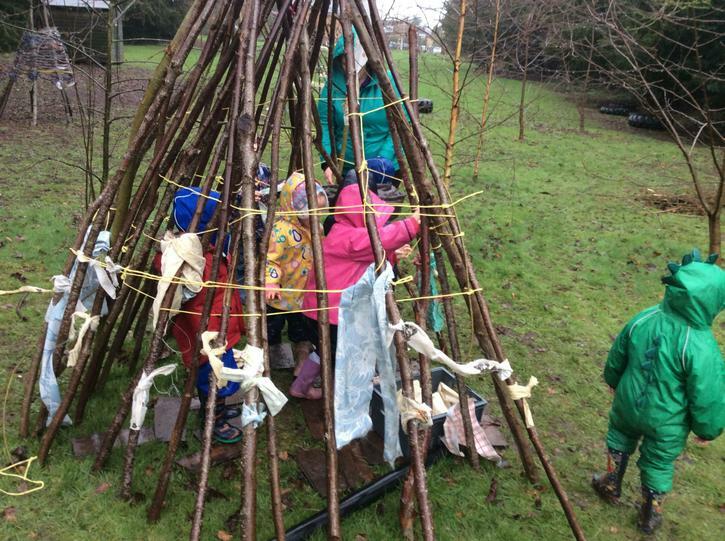 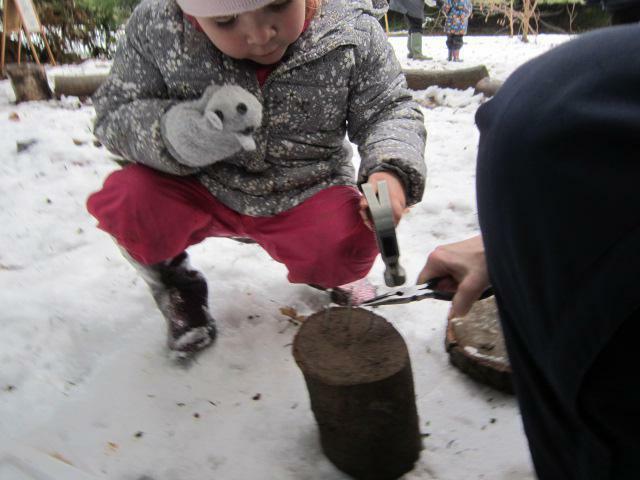 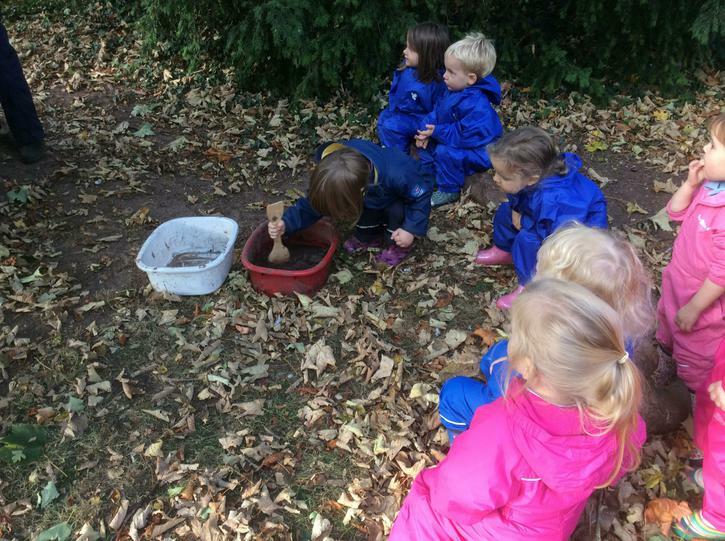 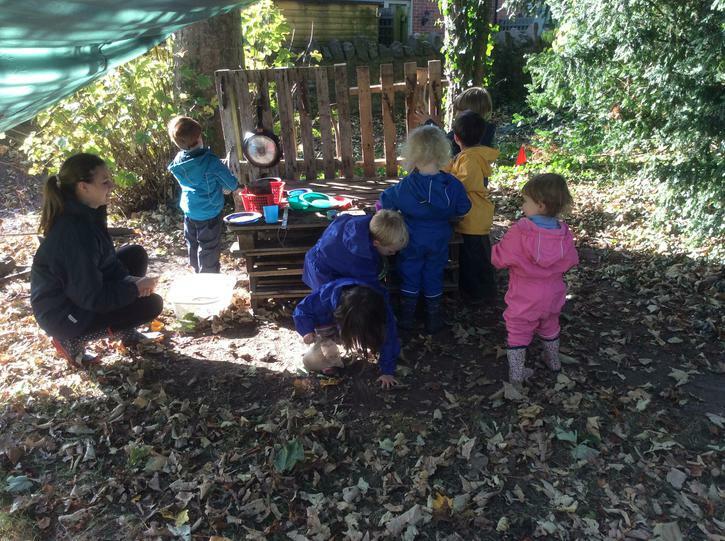 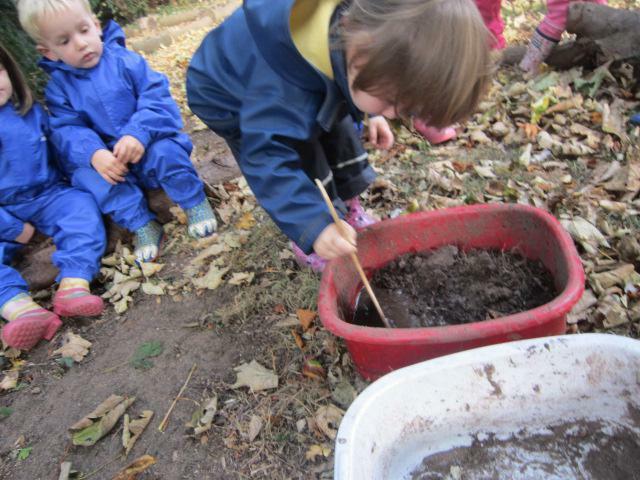 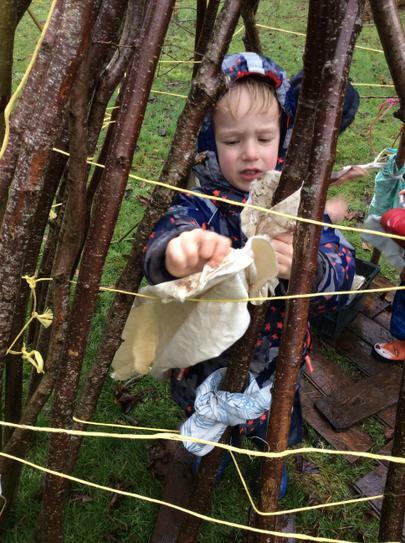 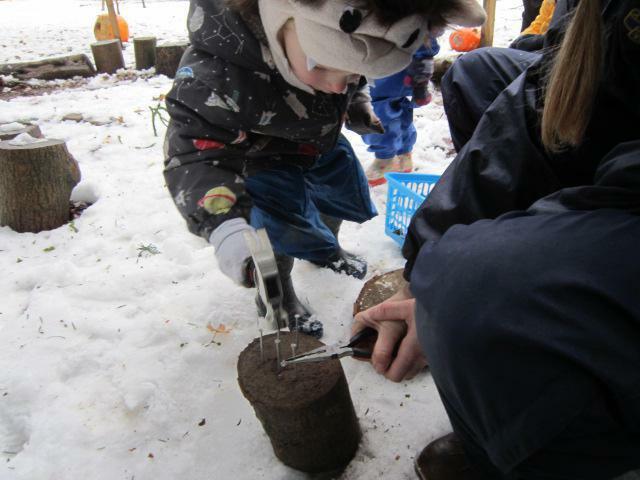 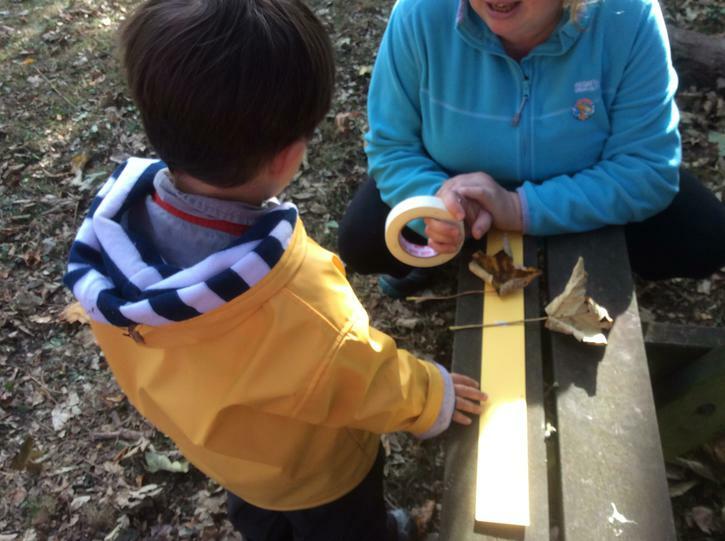 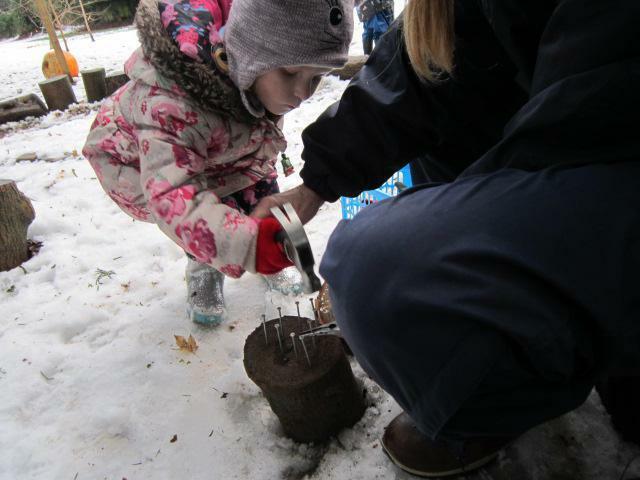 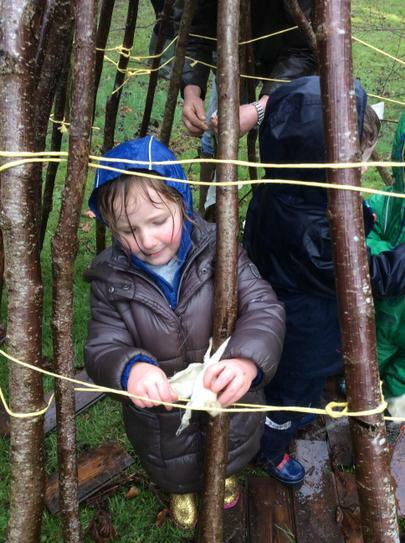 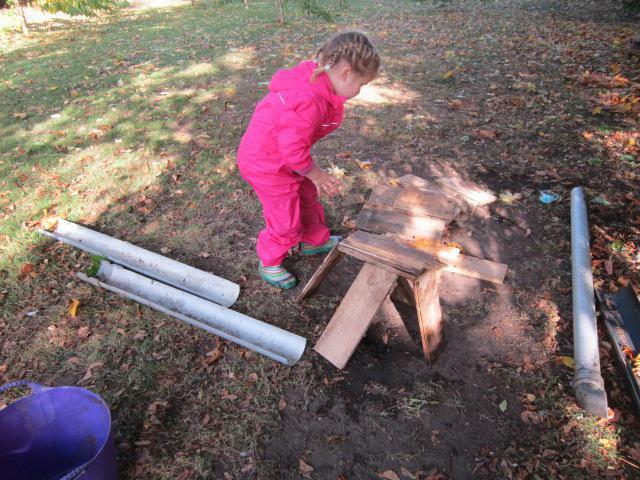 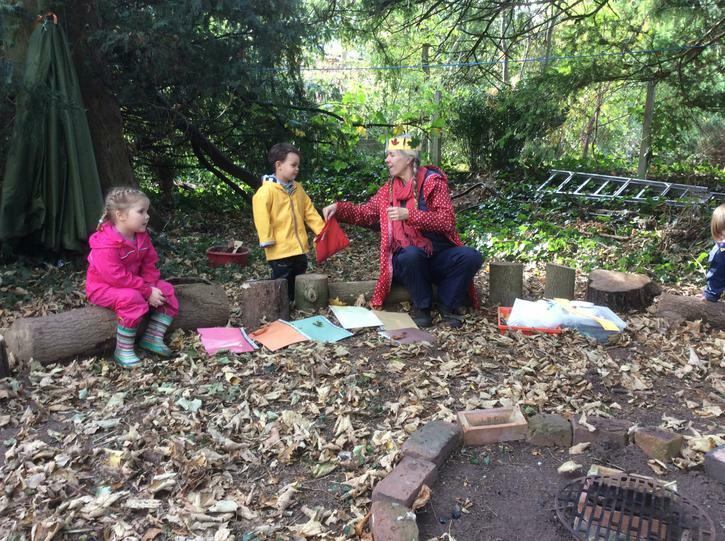 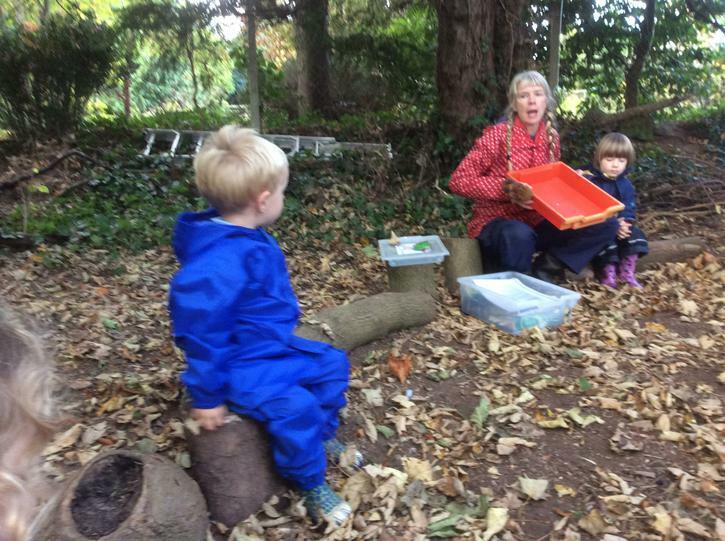 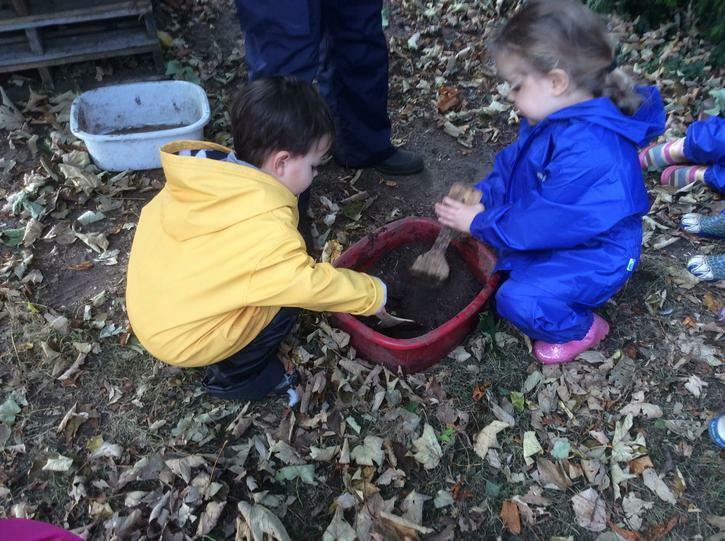 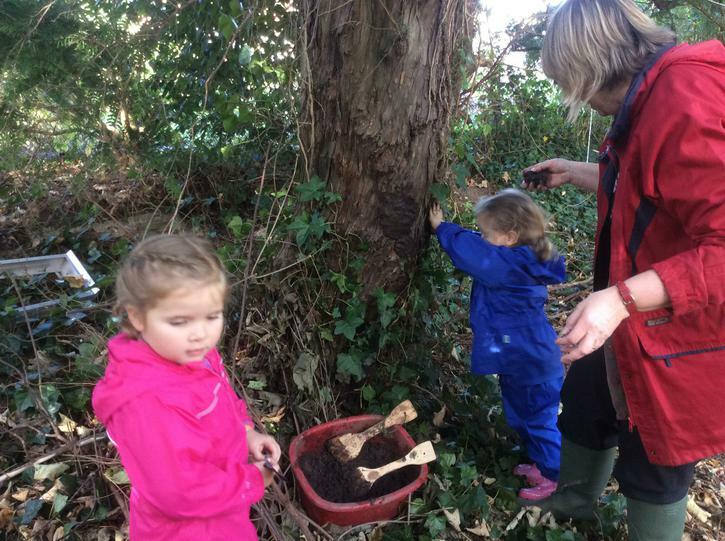 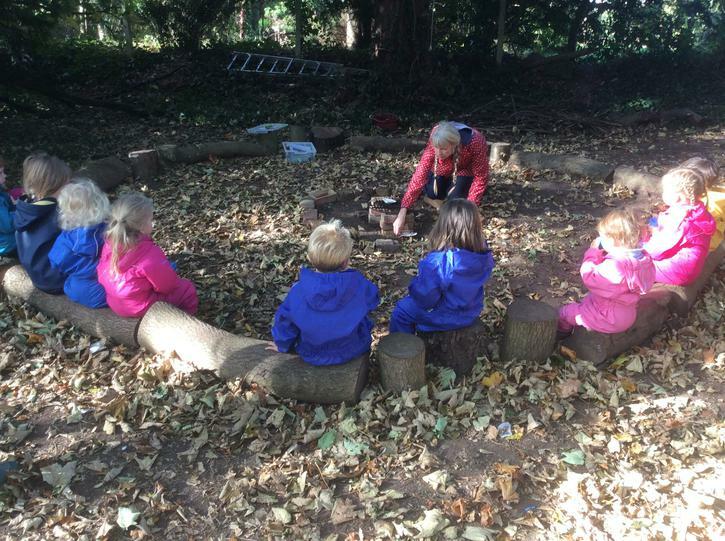 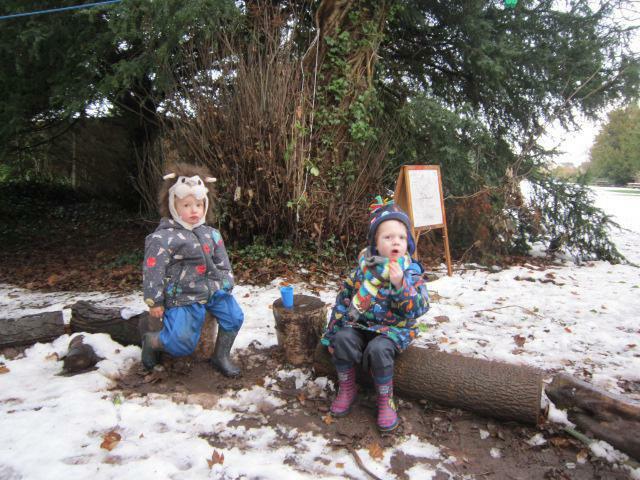 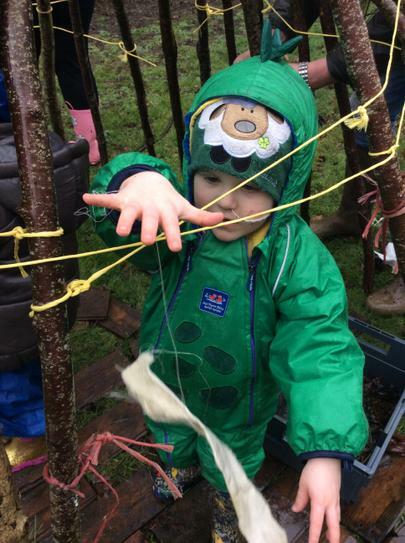 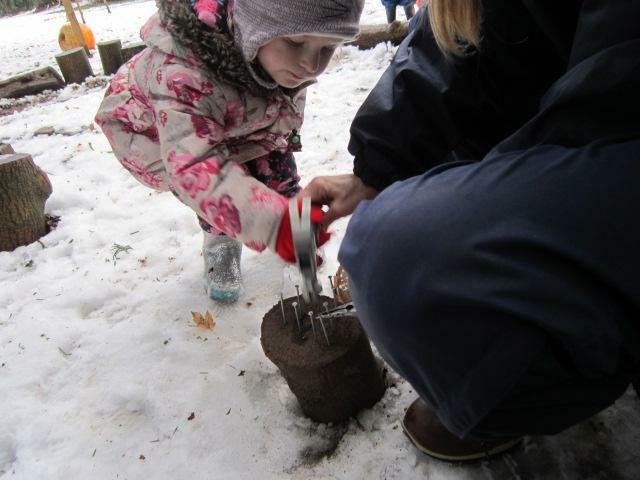 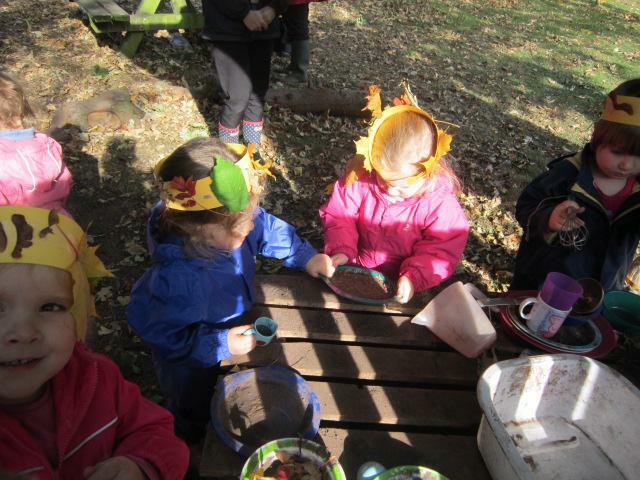 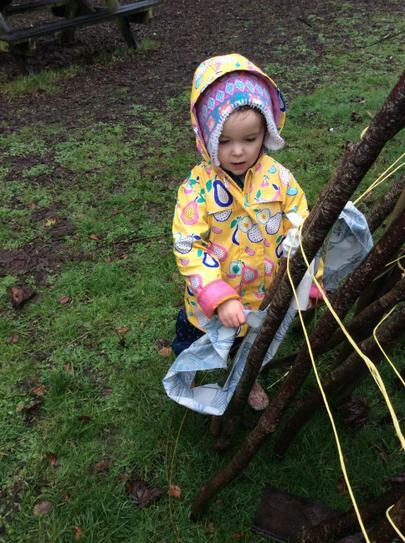 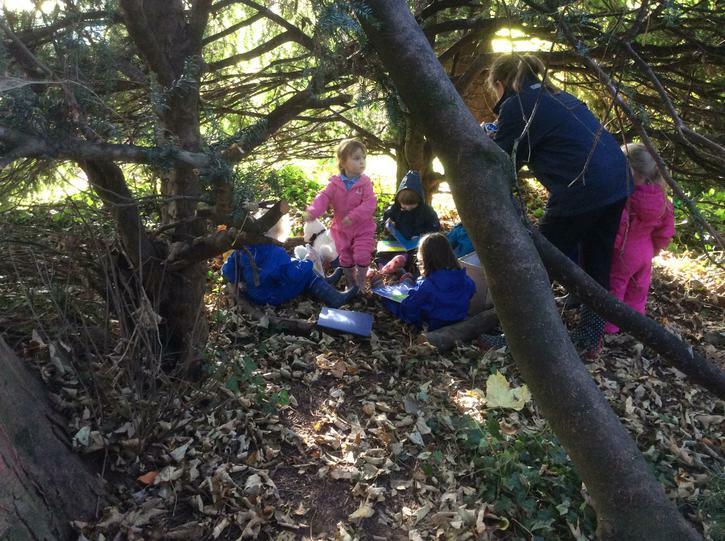 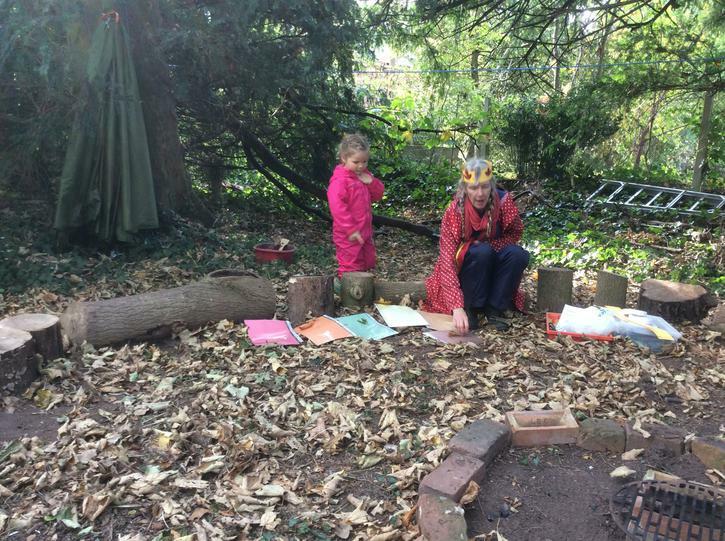 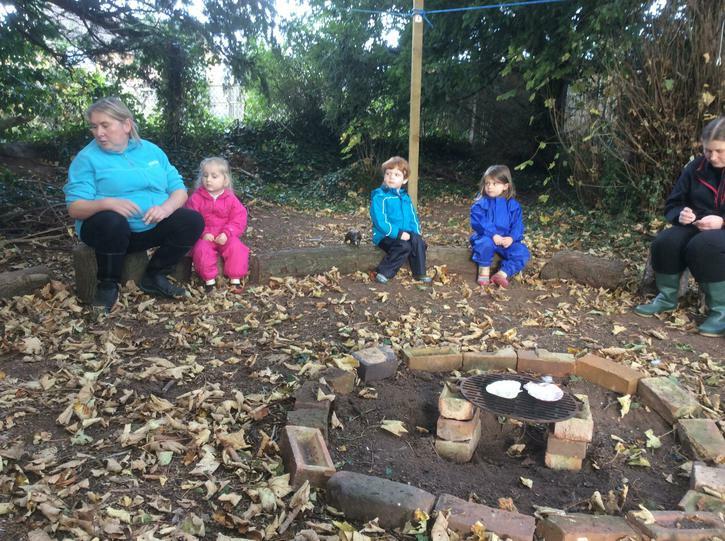 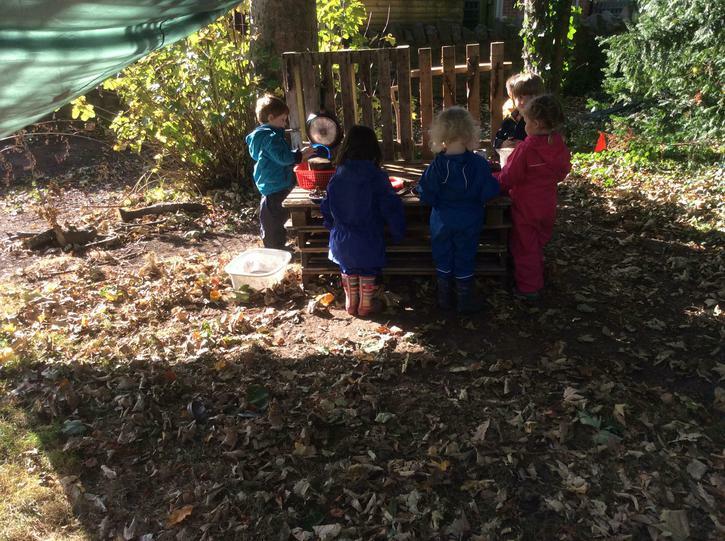 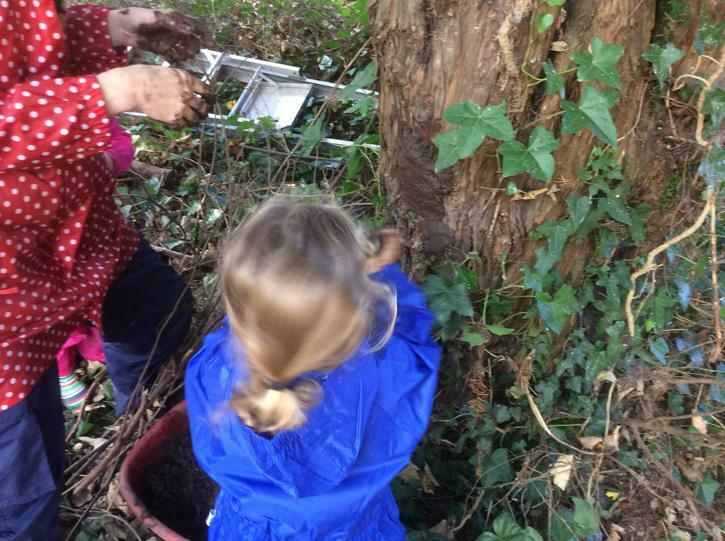 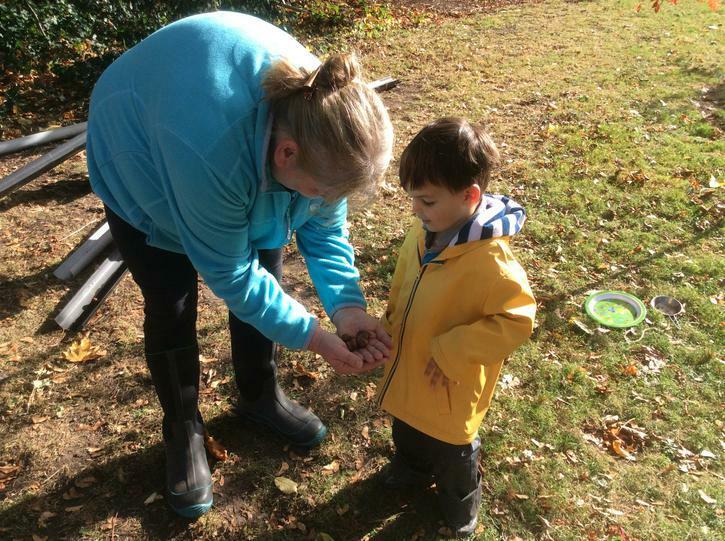 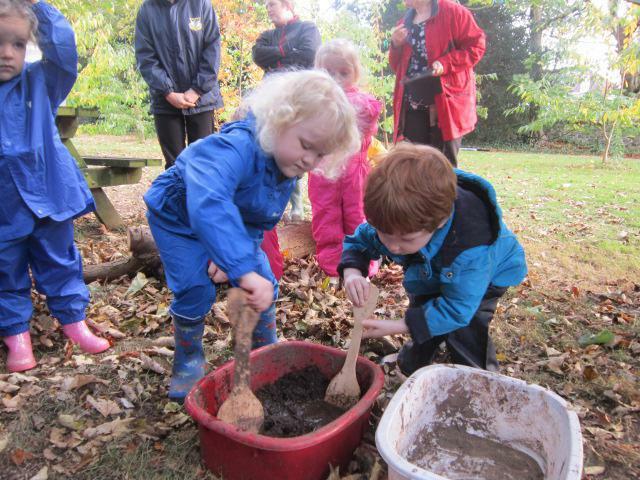 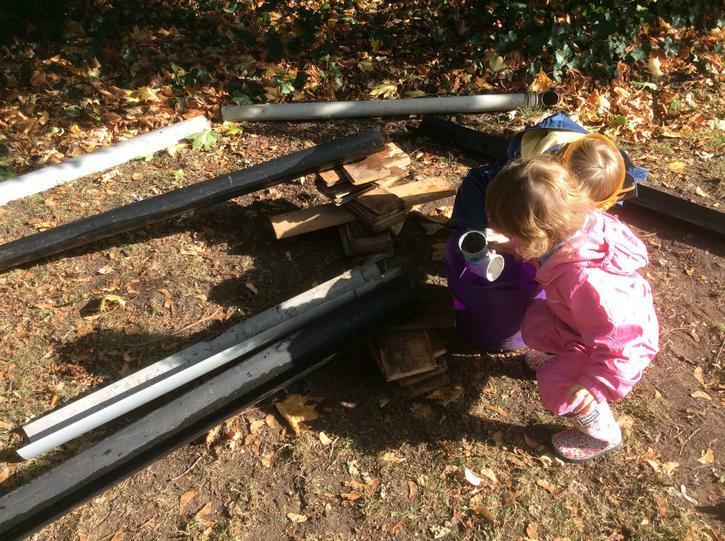 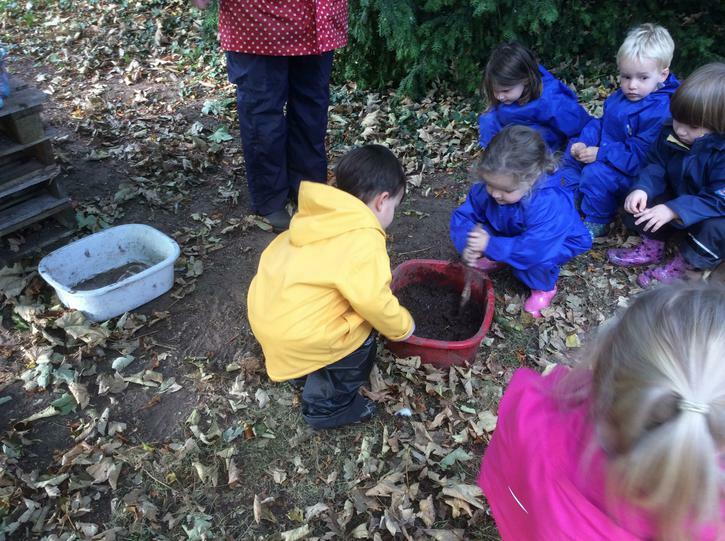 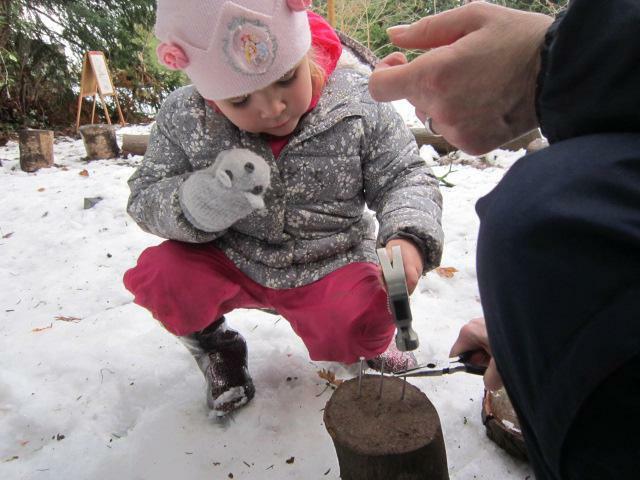 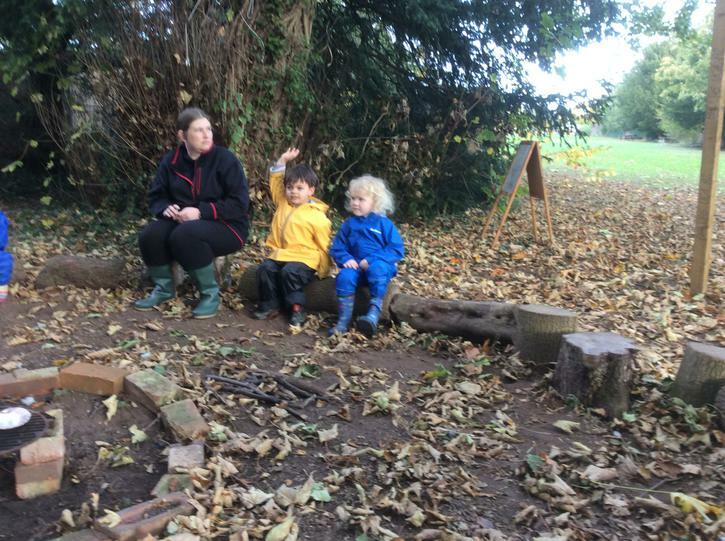 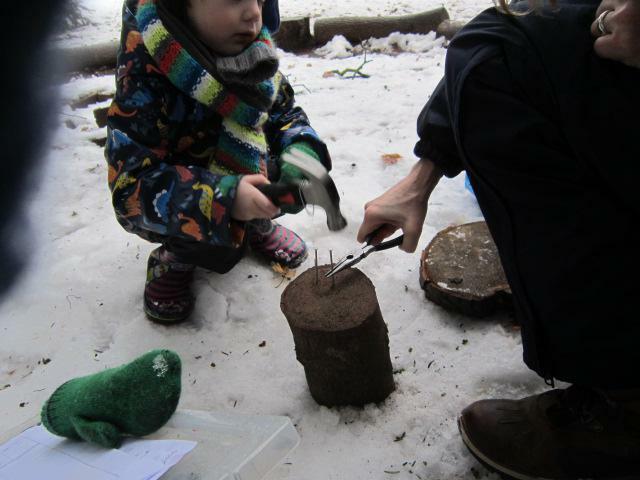 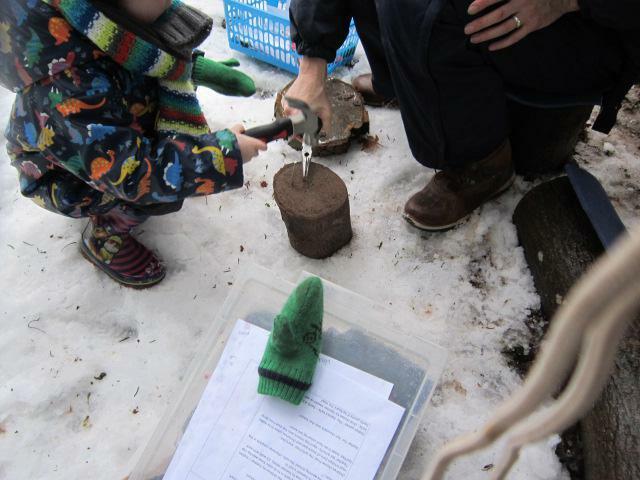 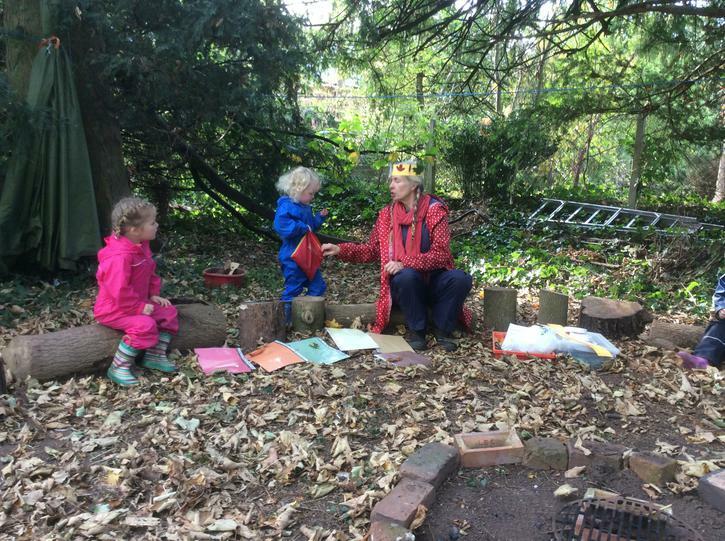 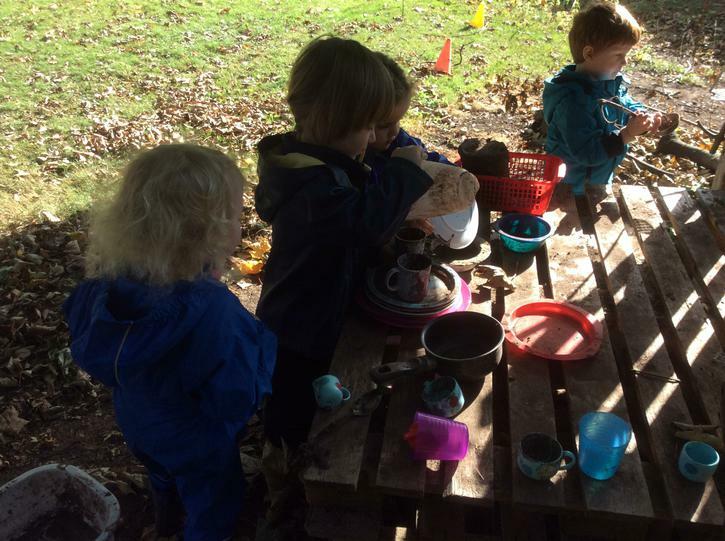 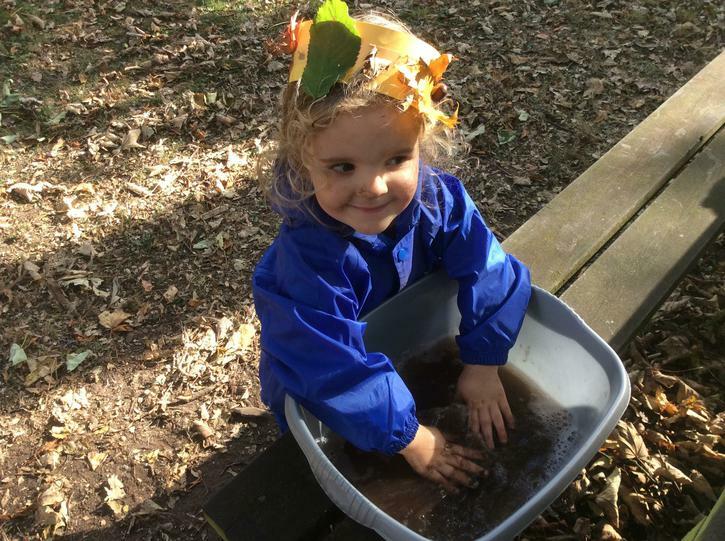 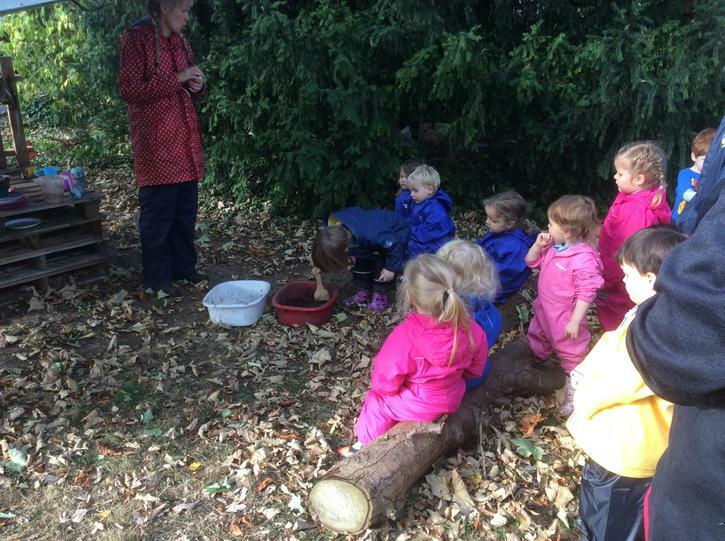 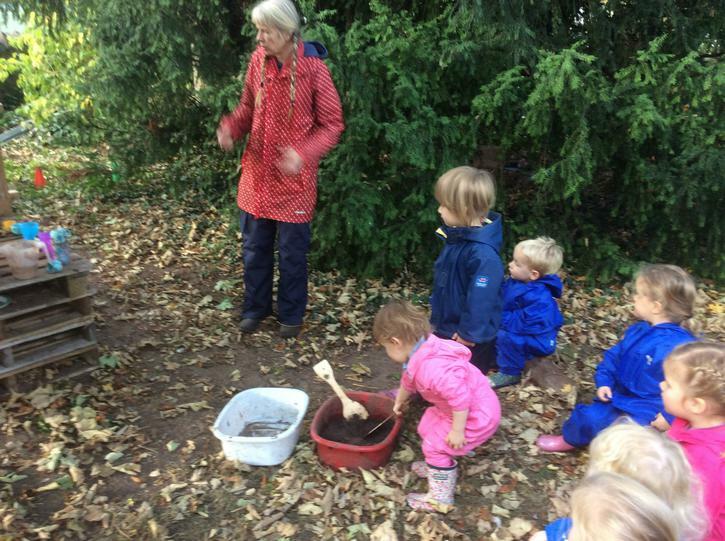 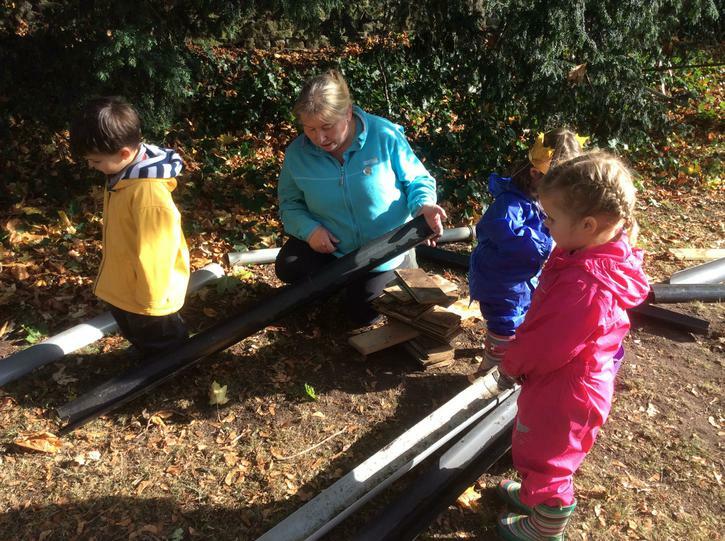 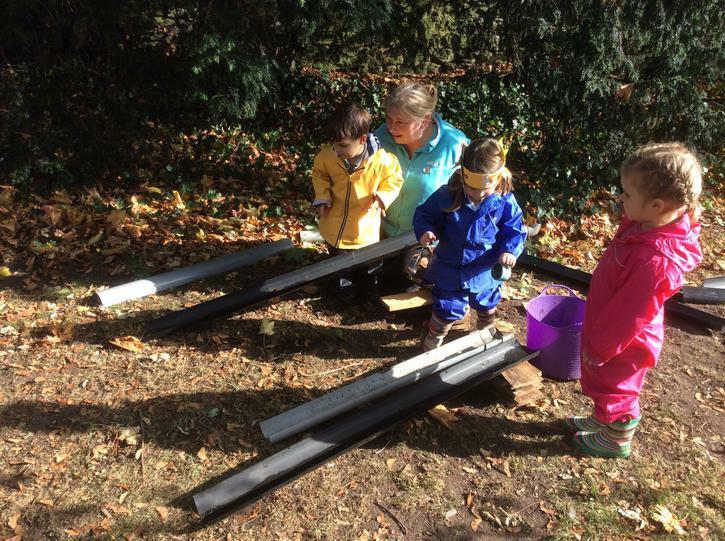 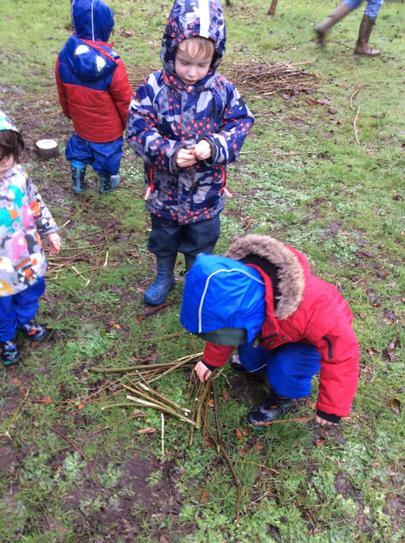 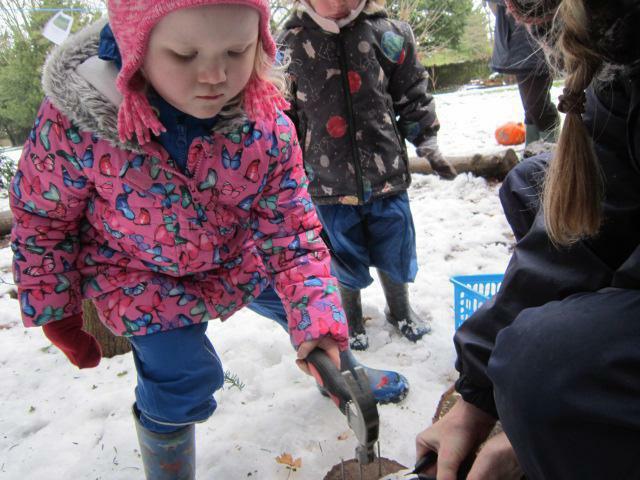 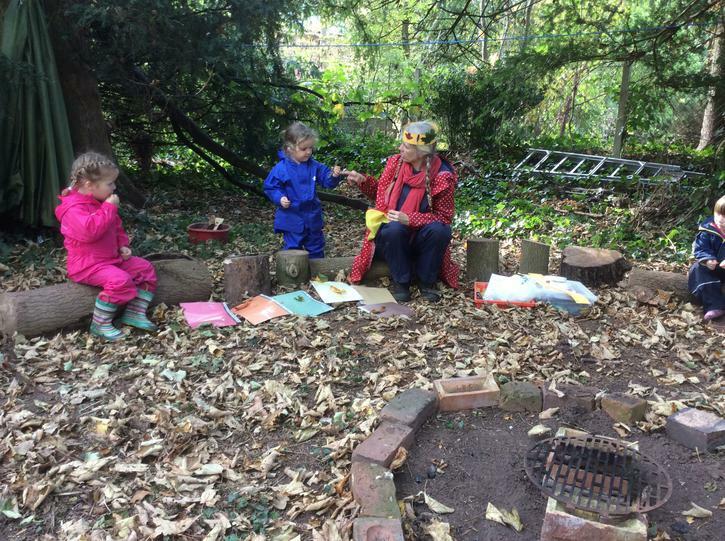 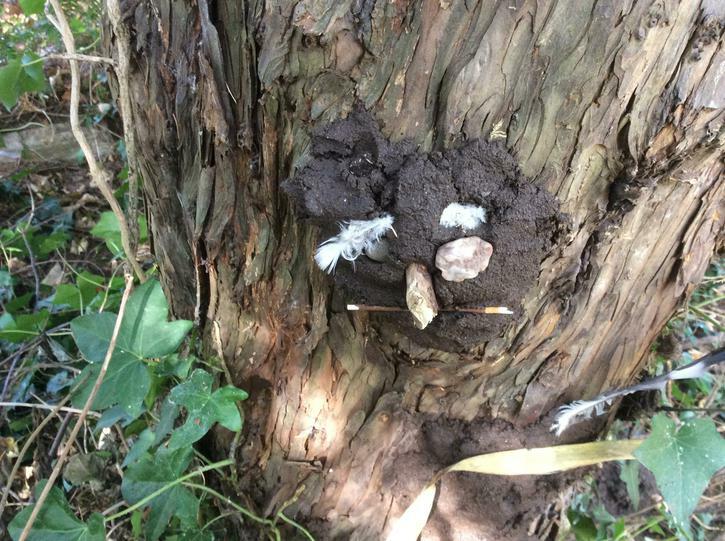 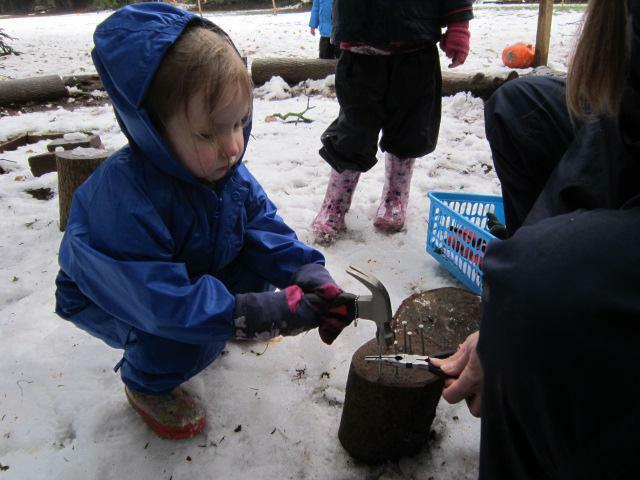 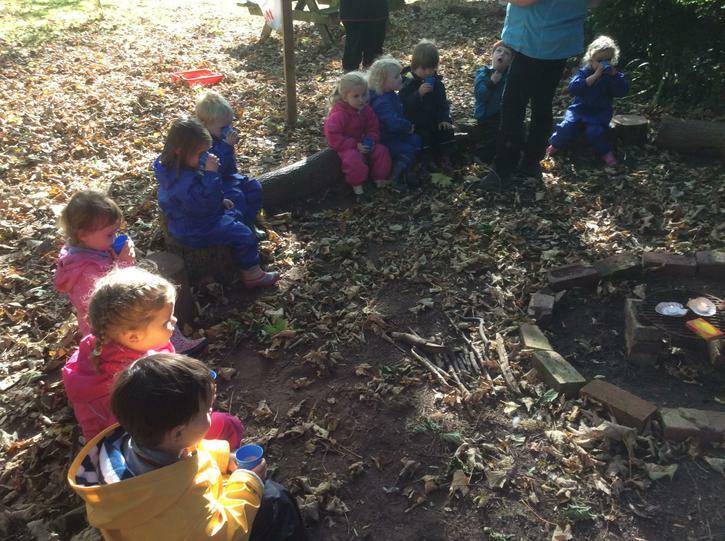 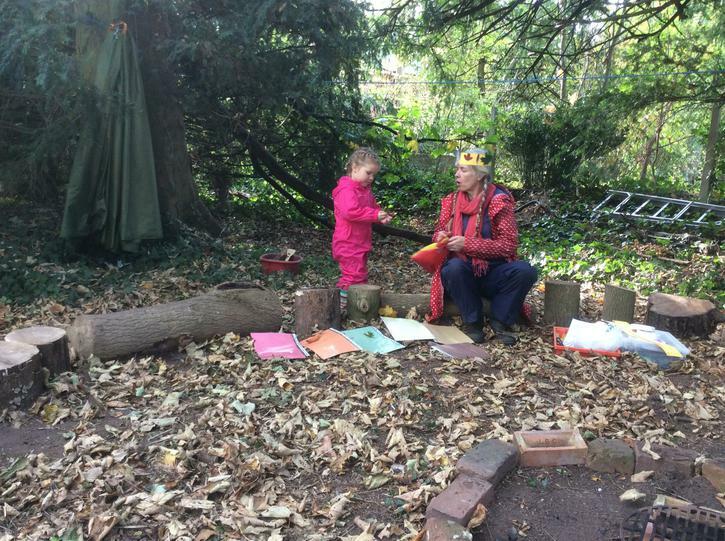 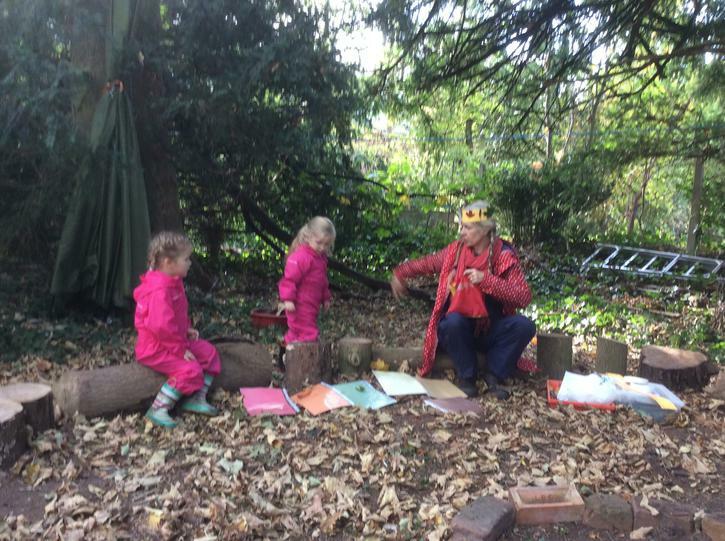 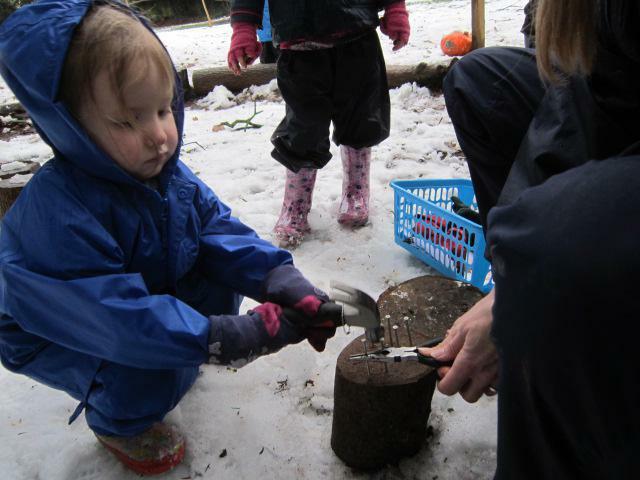 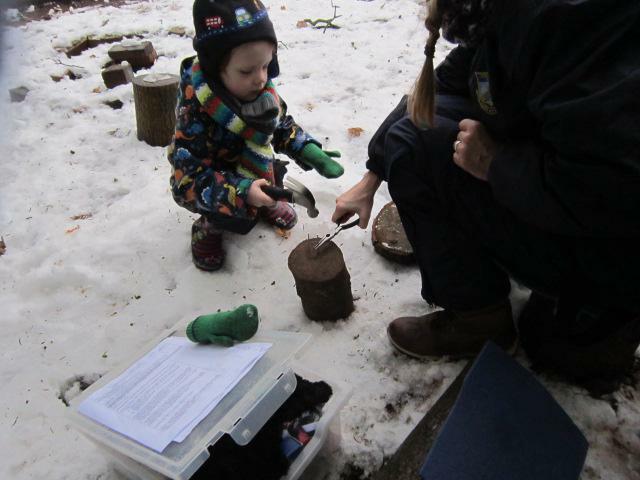 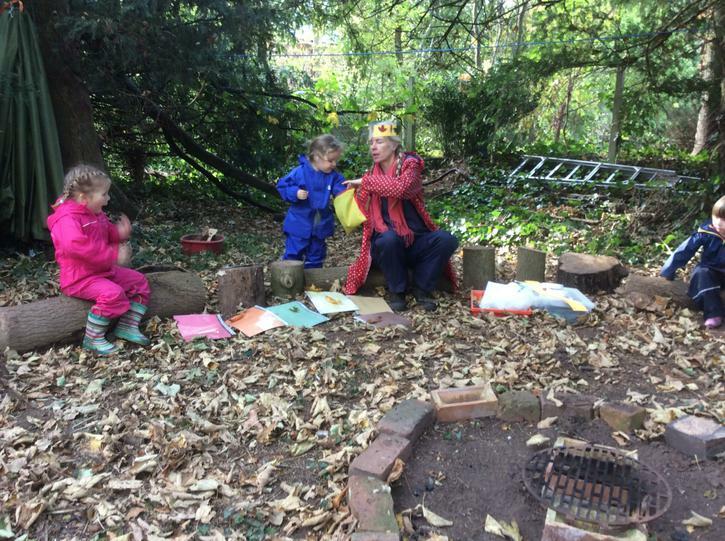 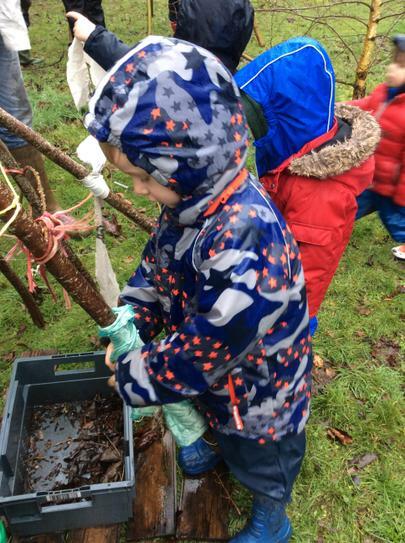 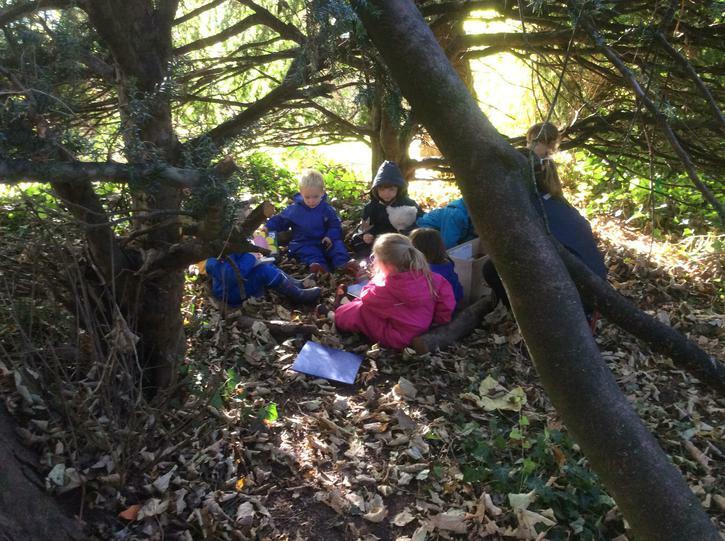 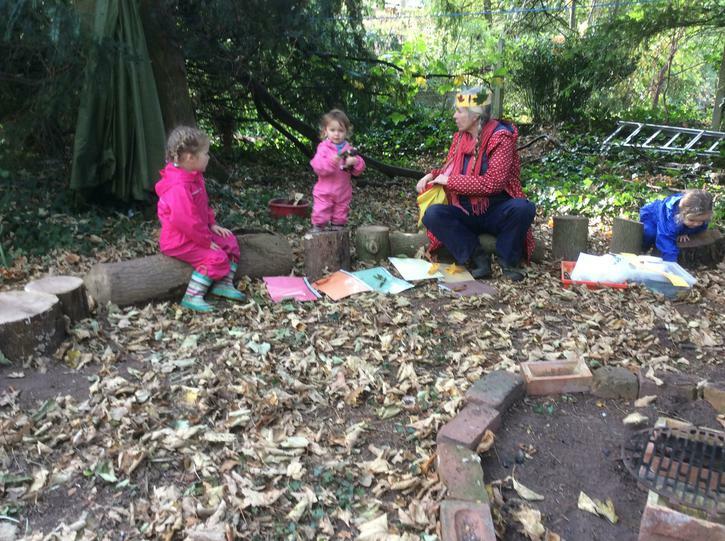 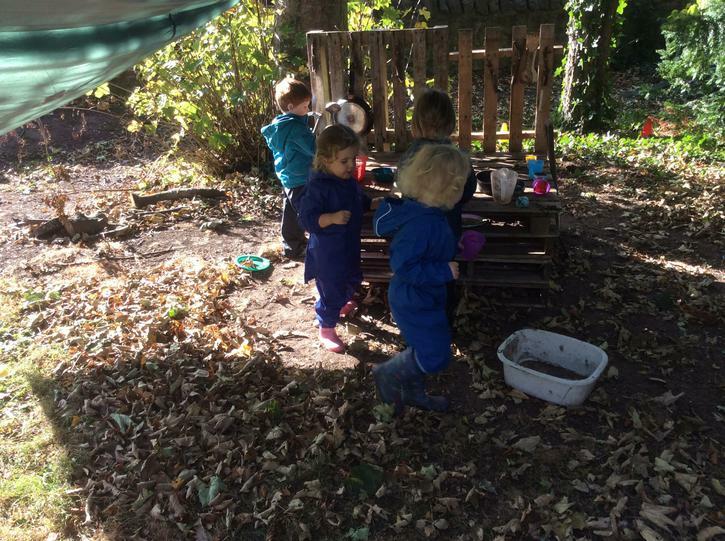 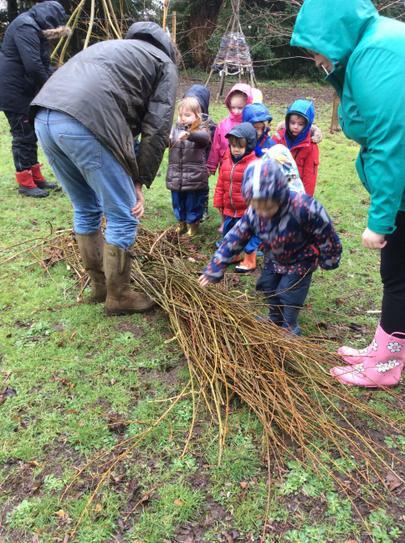 After these directed activities they explored playing in the mud kitchen, building shelters, making leaf rubbings and reading in the story tepee. 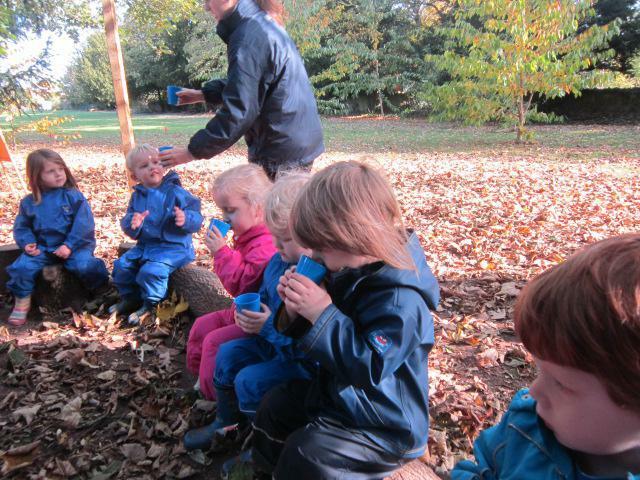 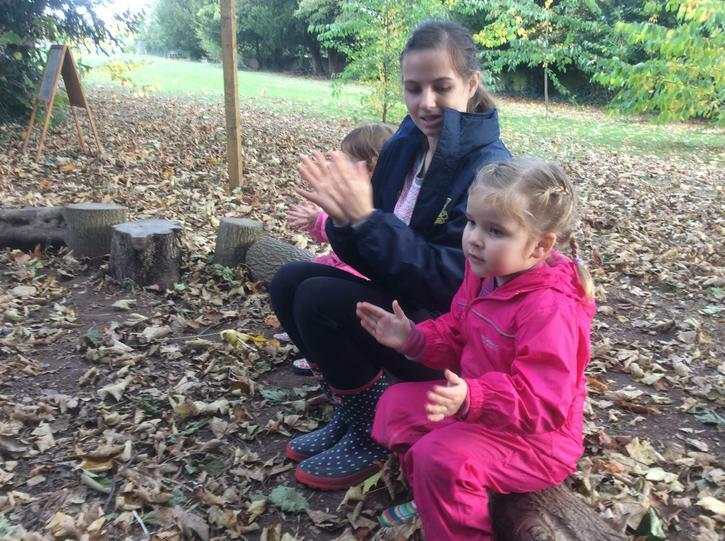 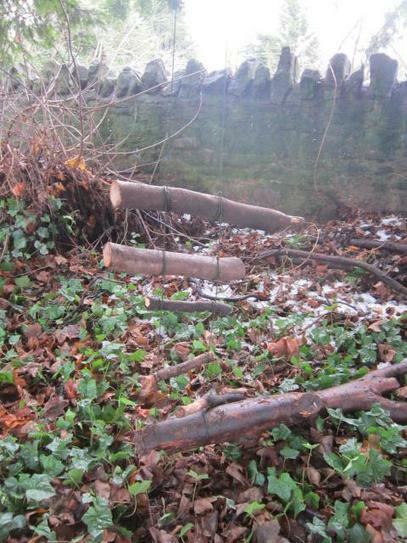 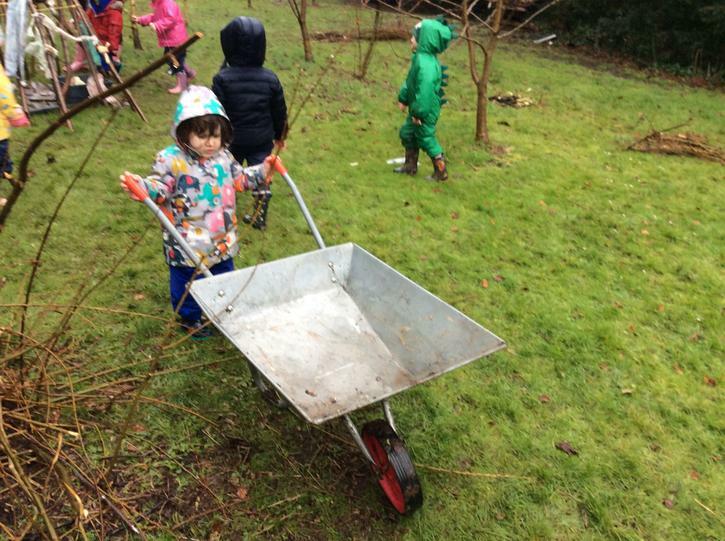 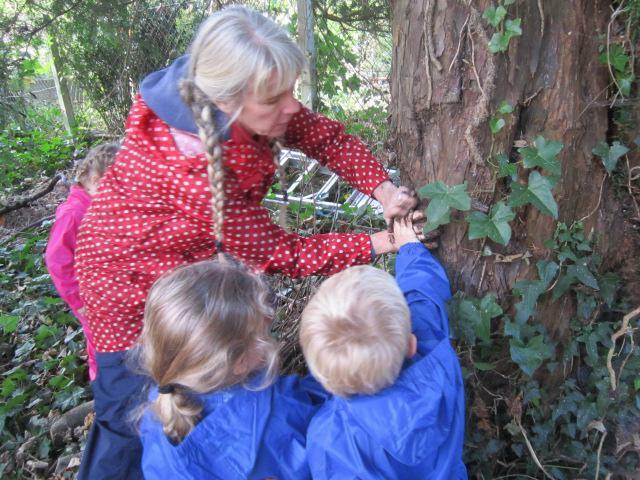 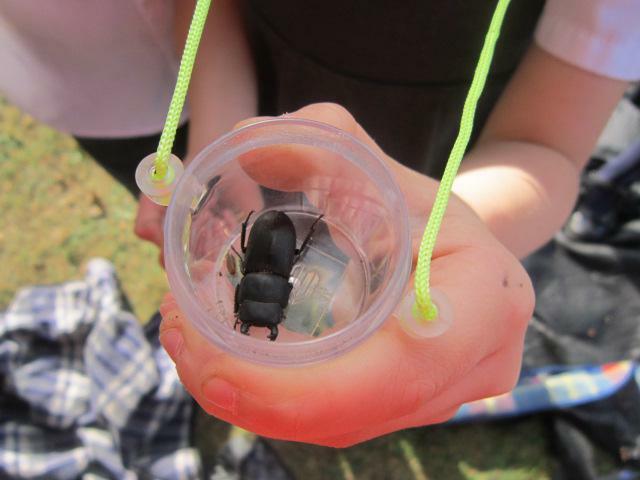 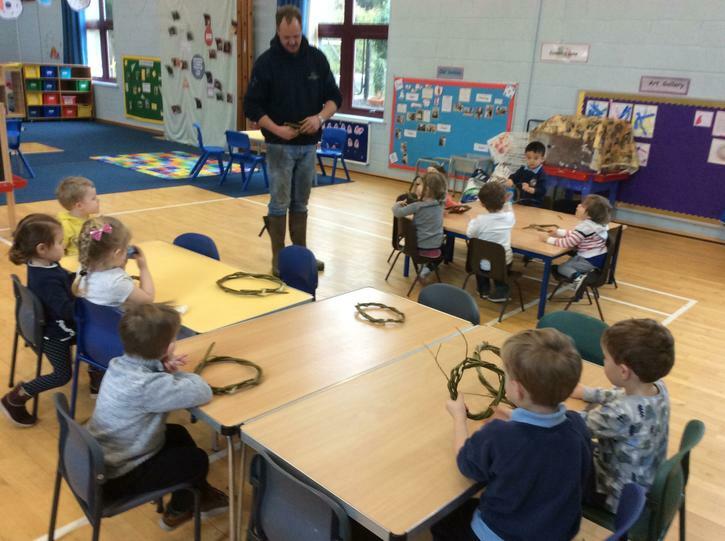 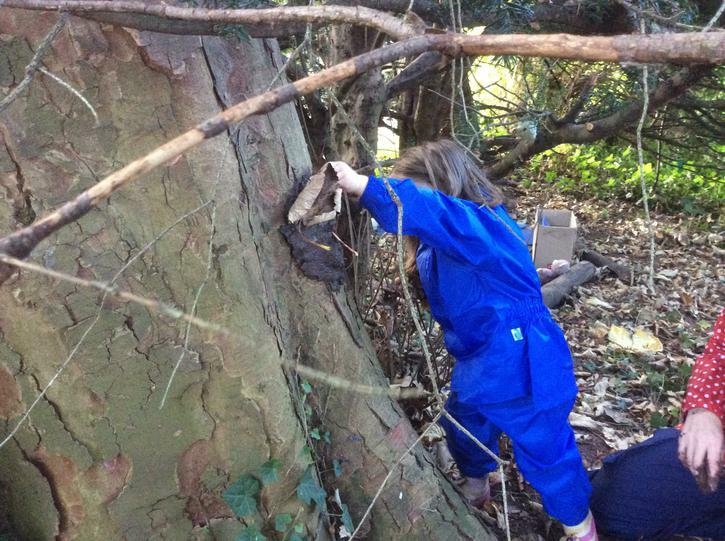 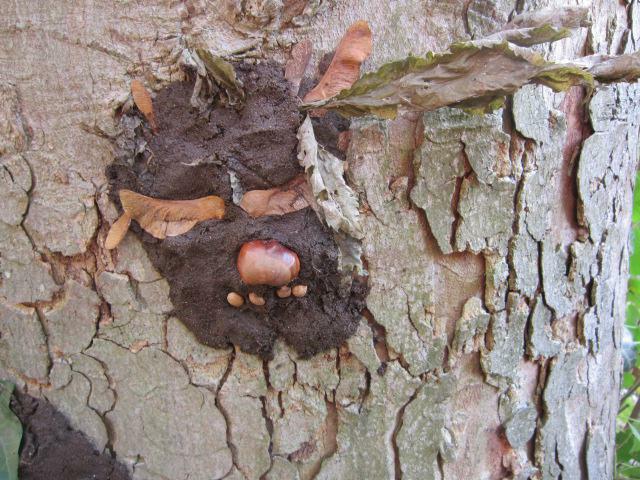 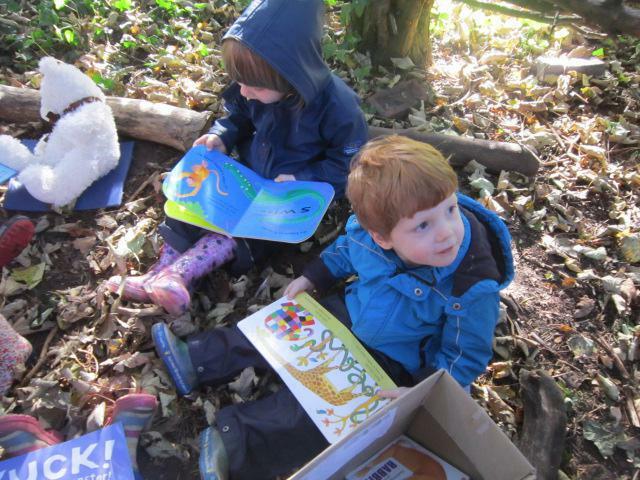 The children really enjoyed their Forest School morning. 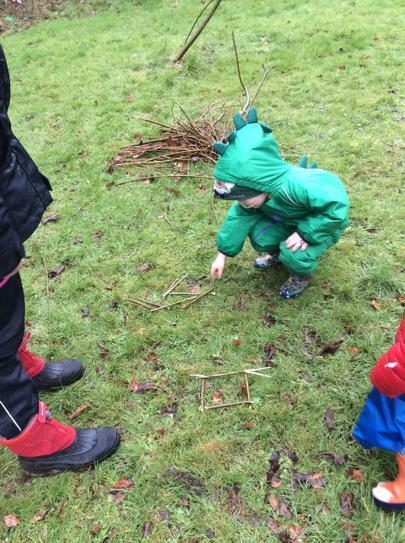 The children celebrated Chinese New Year and joined in with a Chinese dragon parade, painting firework pictures using natural materials as paintbrushes and everyone got to whittle a pair of chopsticks using a potato peeler. 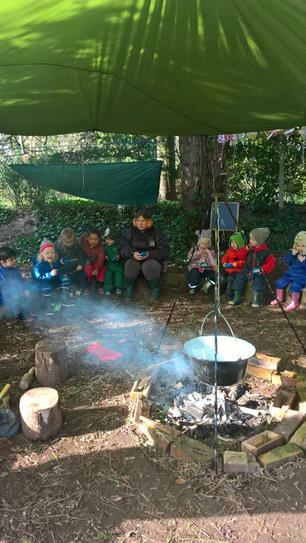 To finish, noodles that had been cooked on the open fire were enjoyed by all.